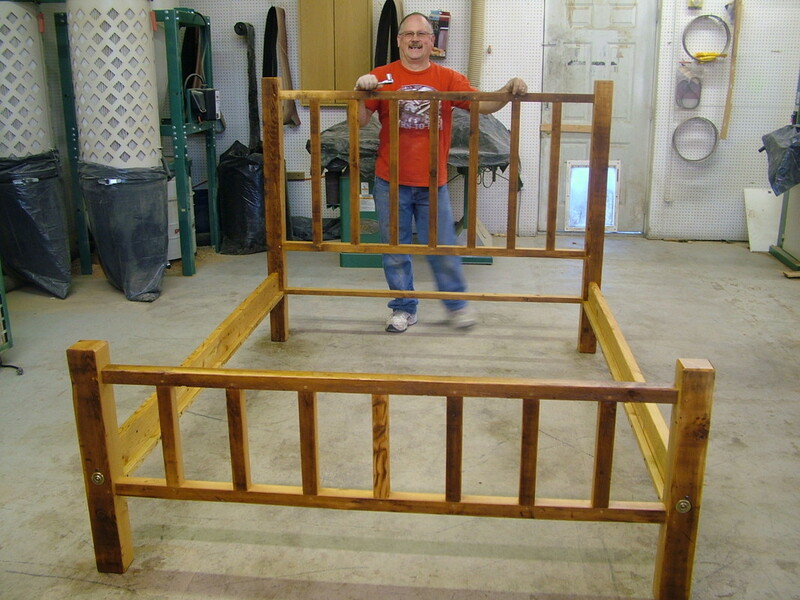 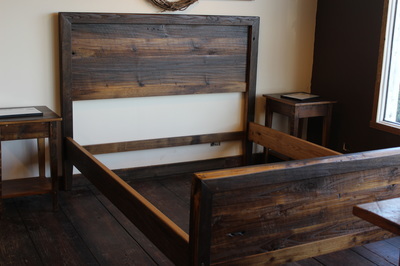 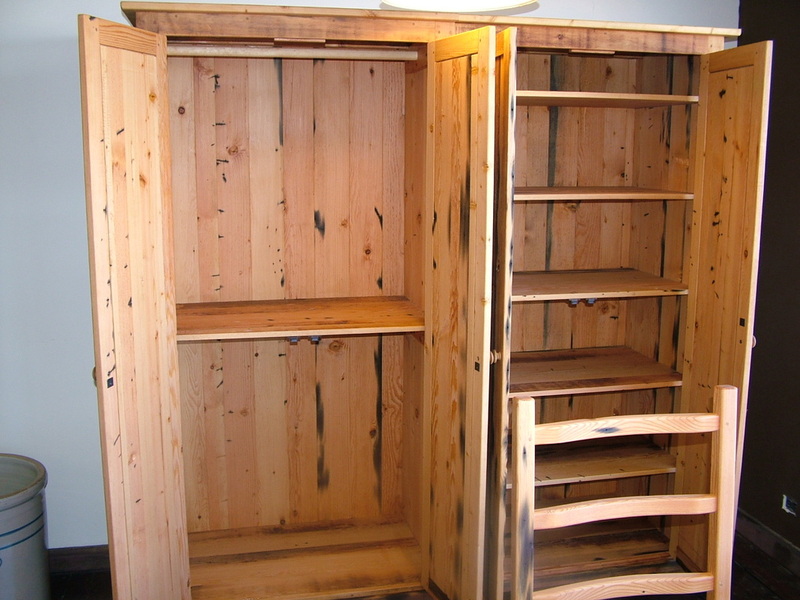 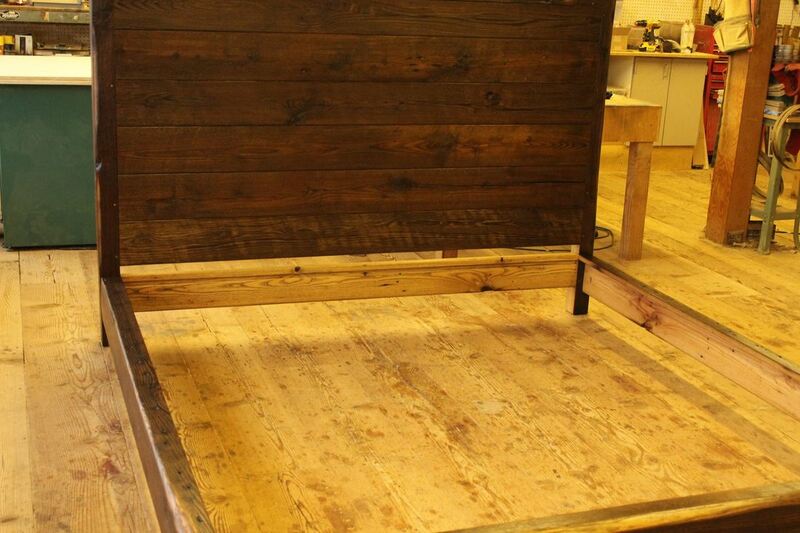 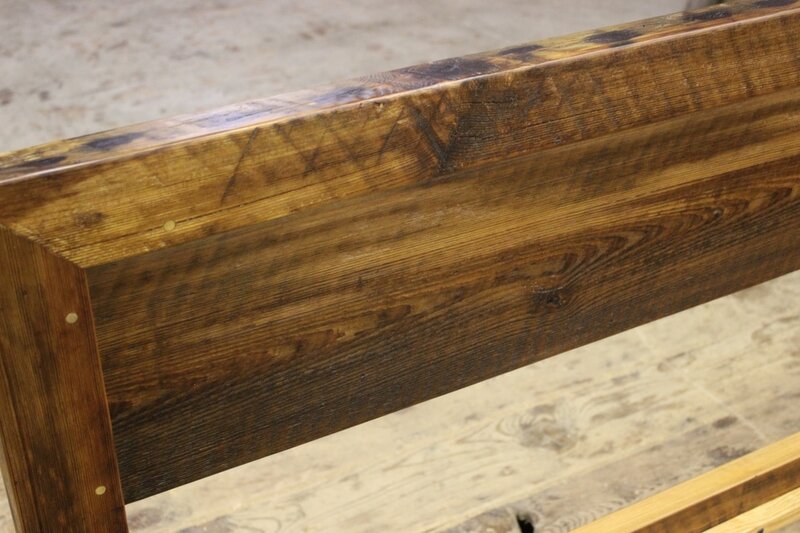 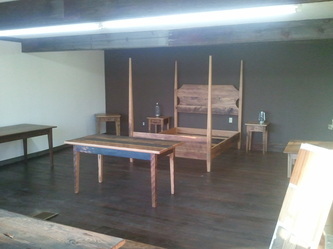 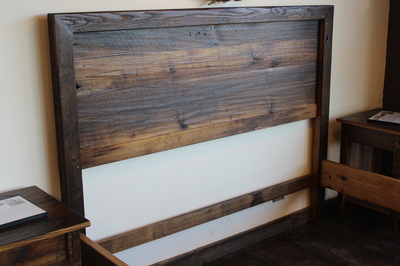 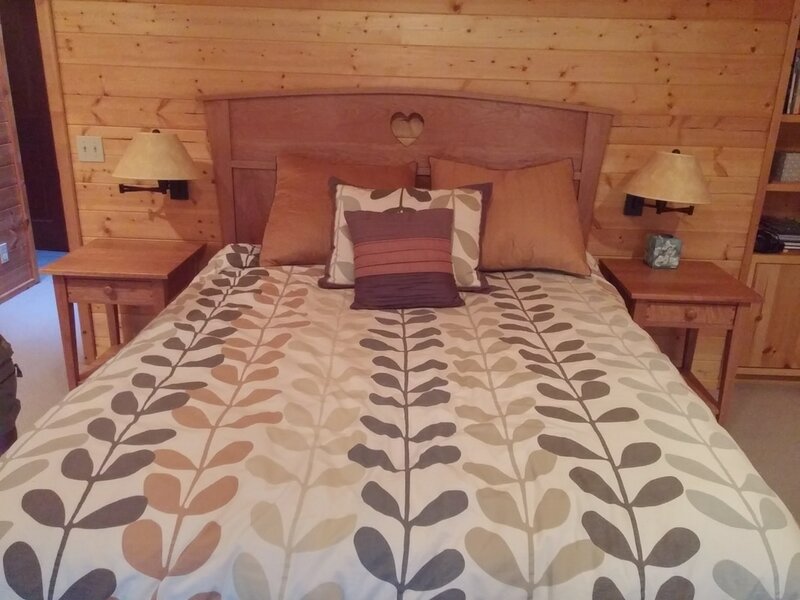 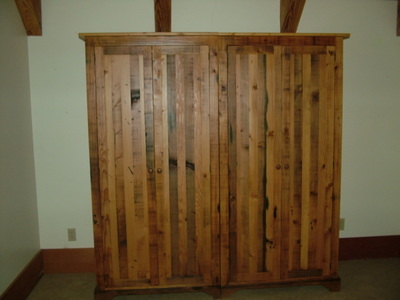 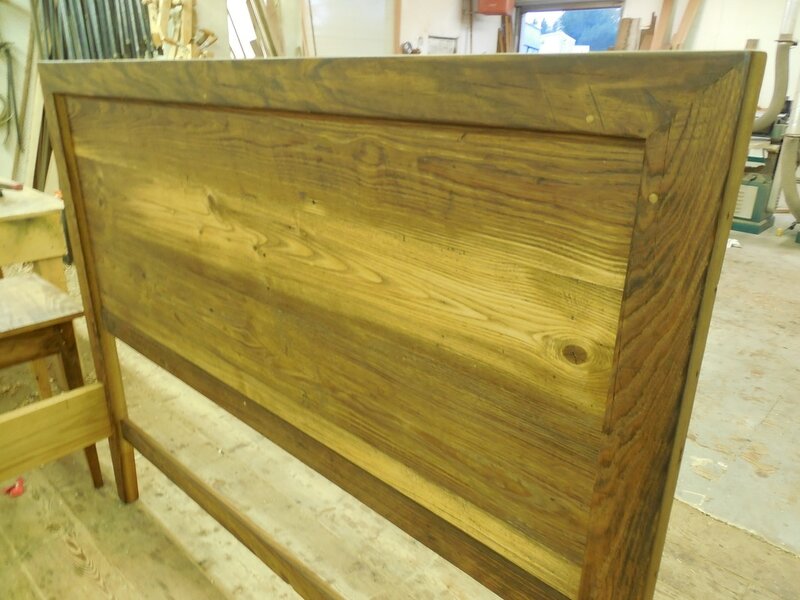 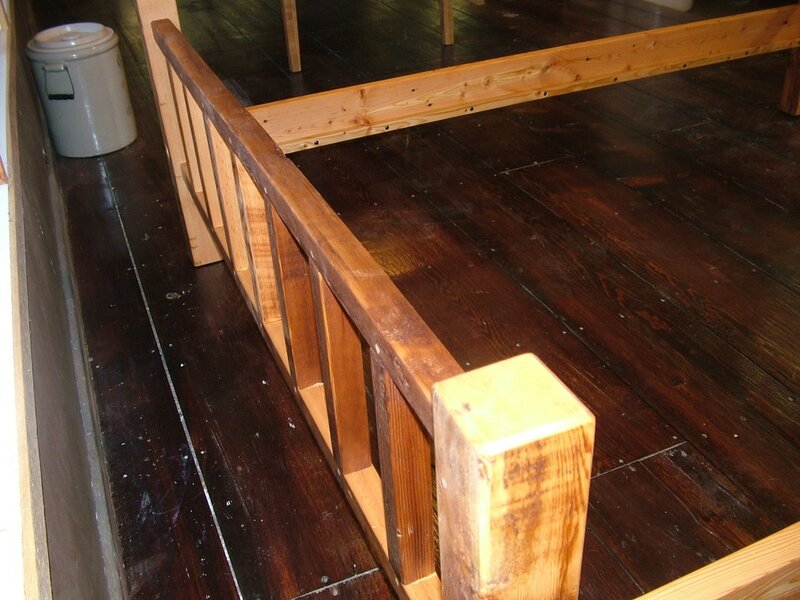 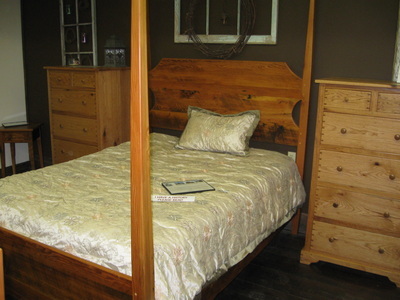 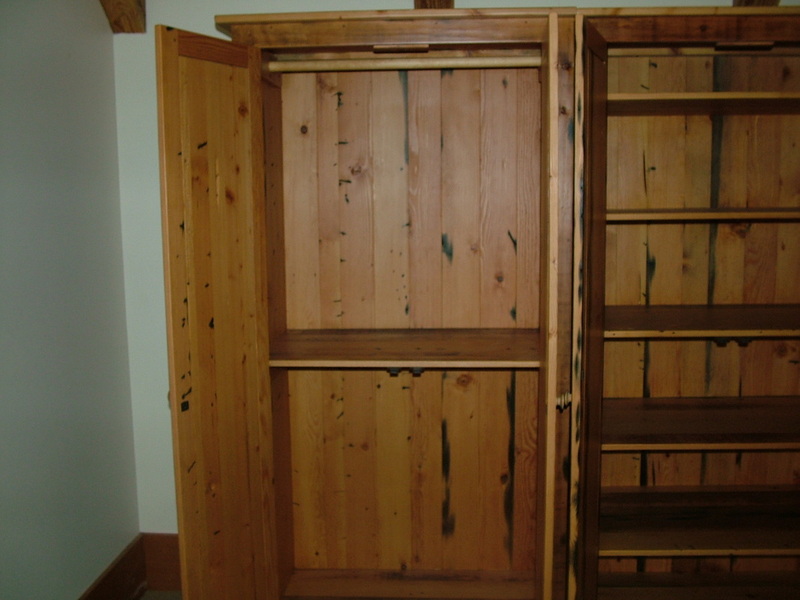 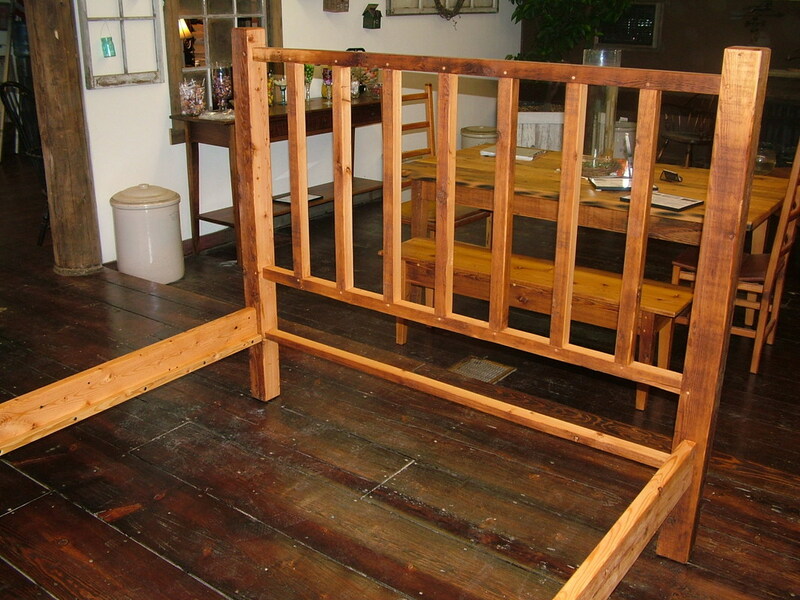 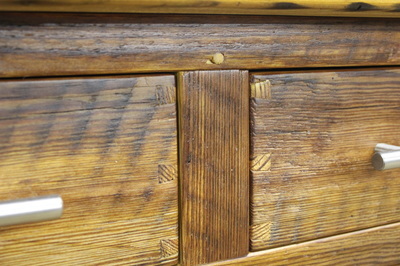 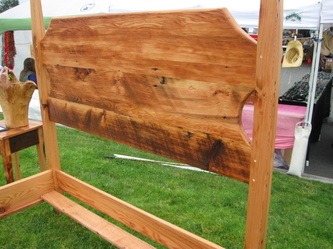 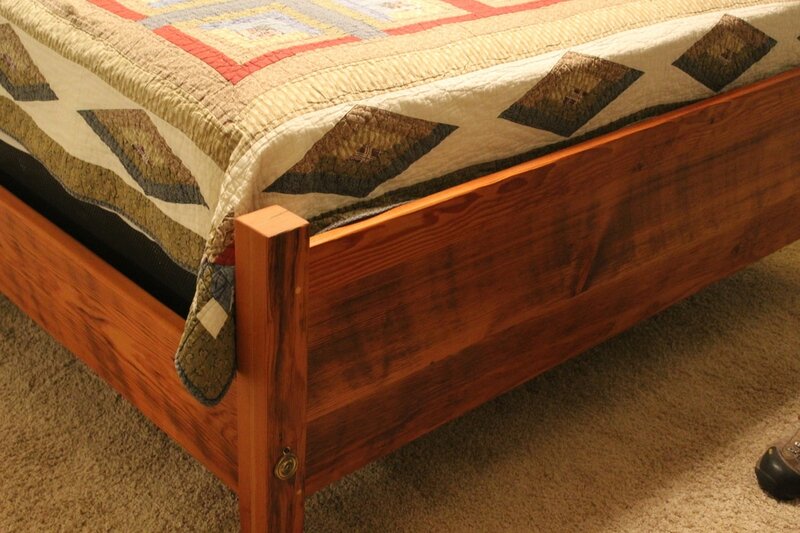 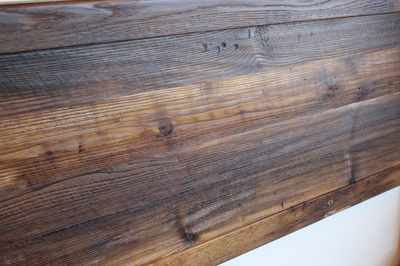 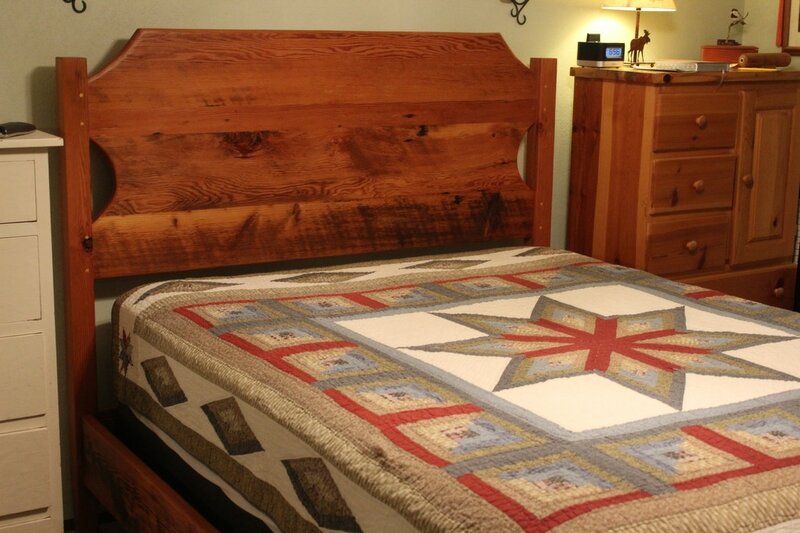 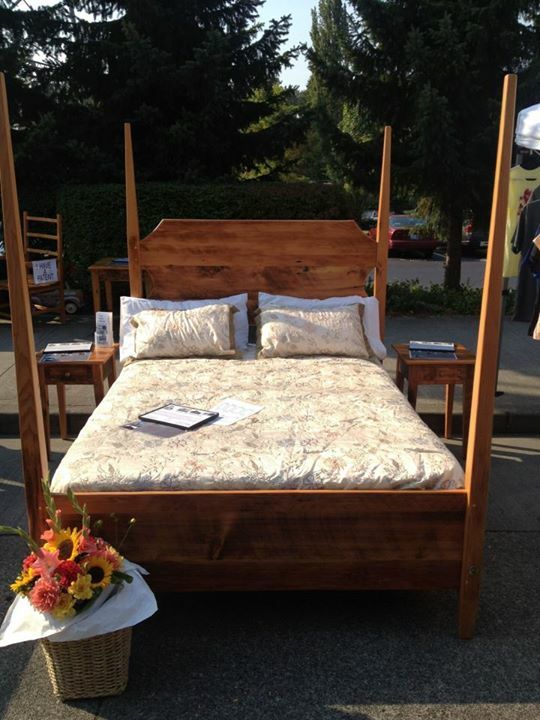 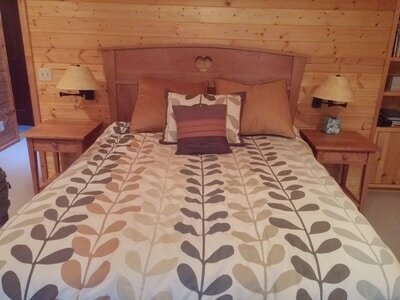 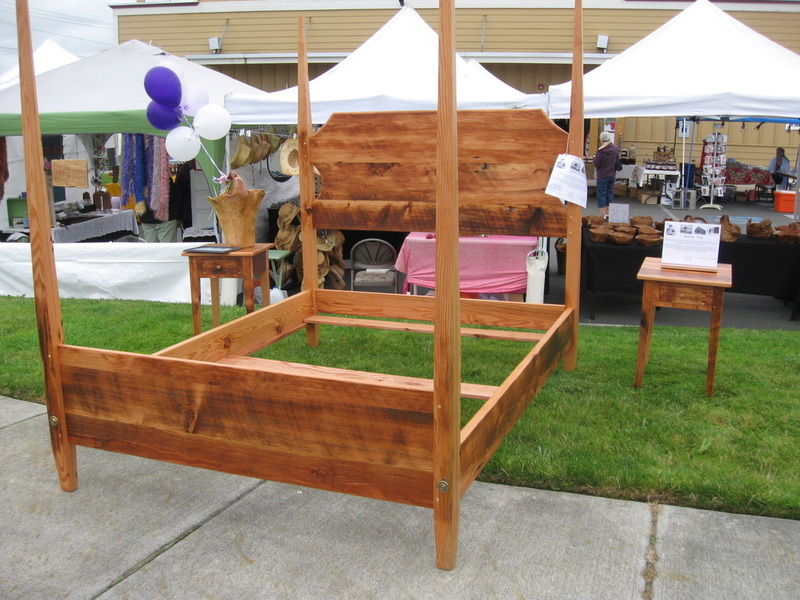 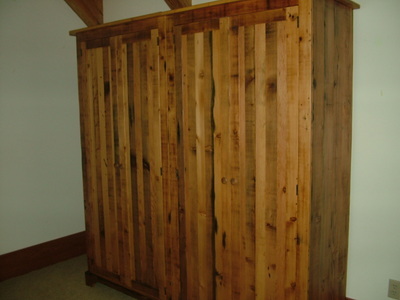 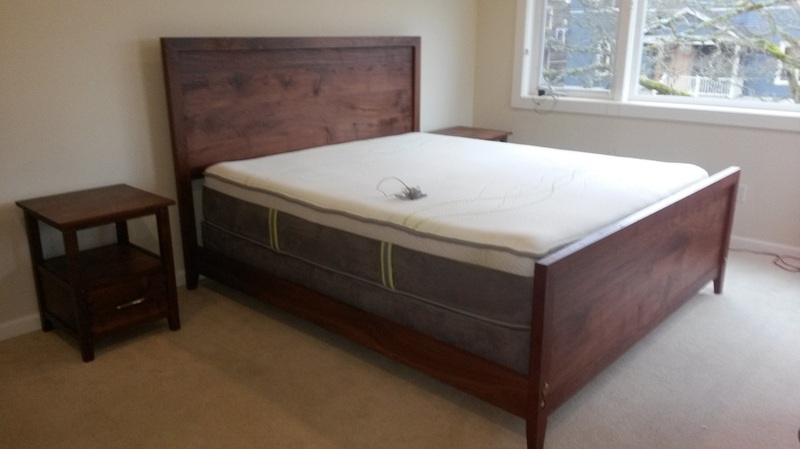 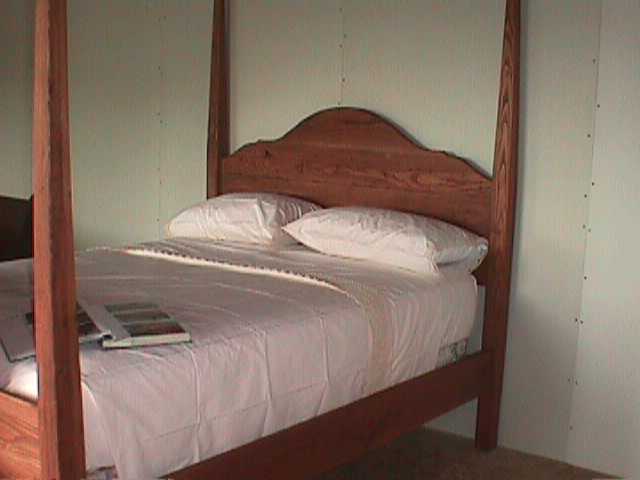 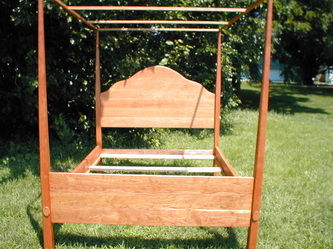 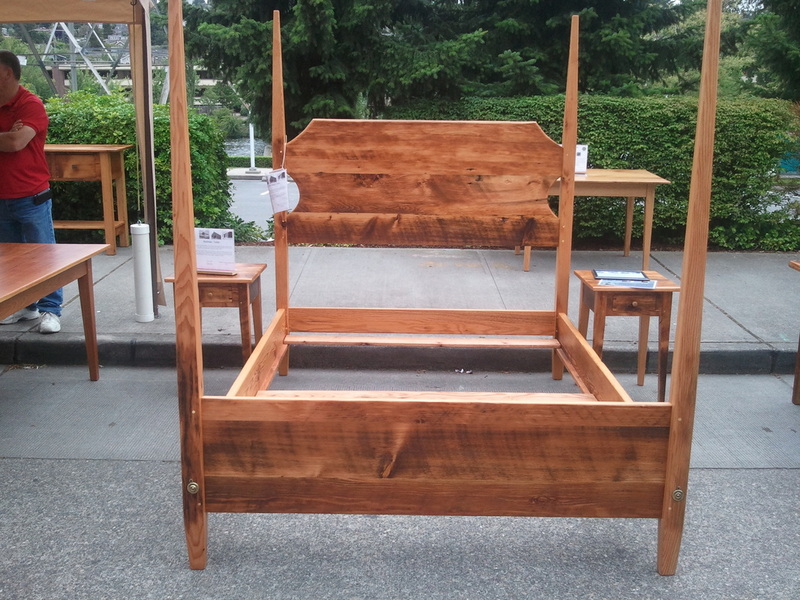 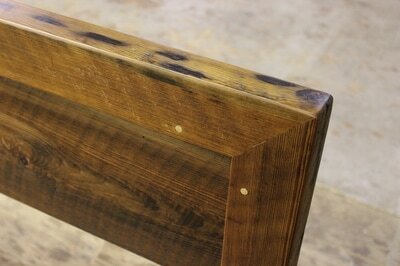 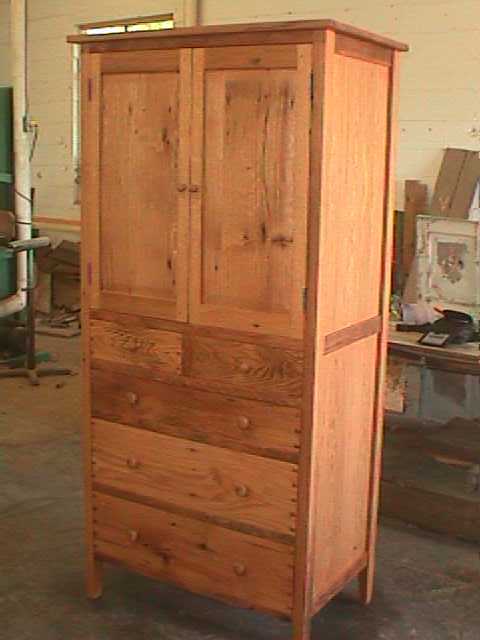 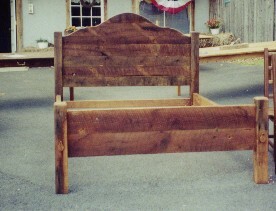 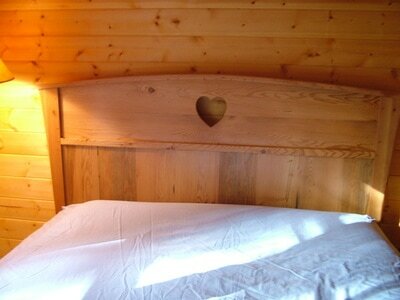 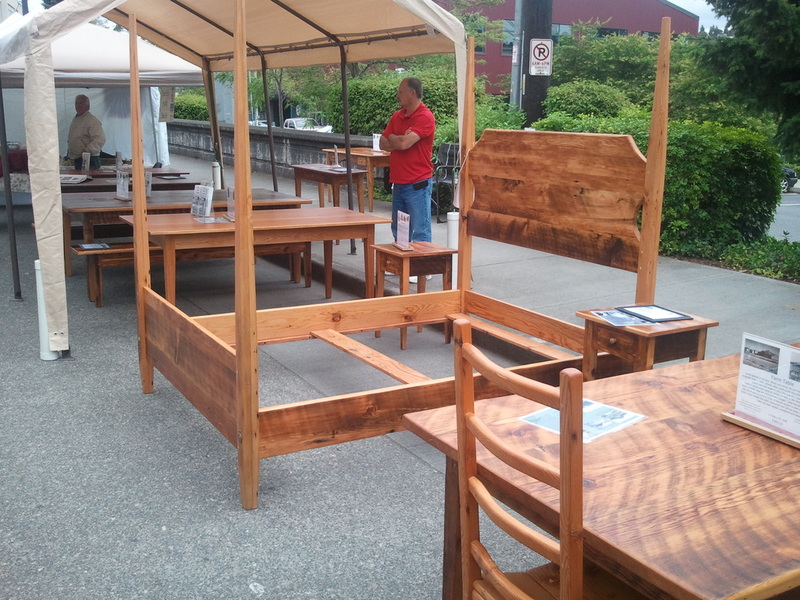 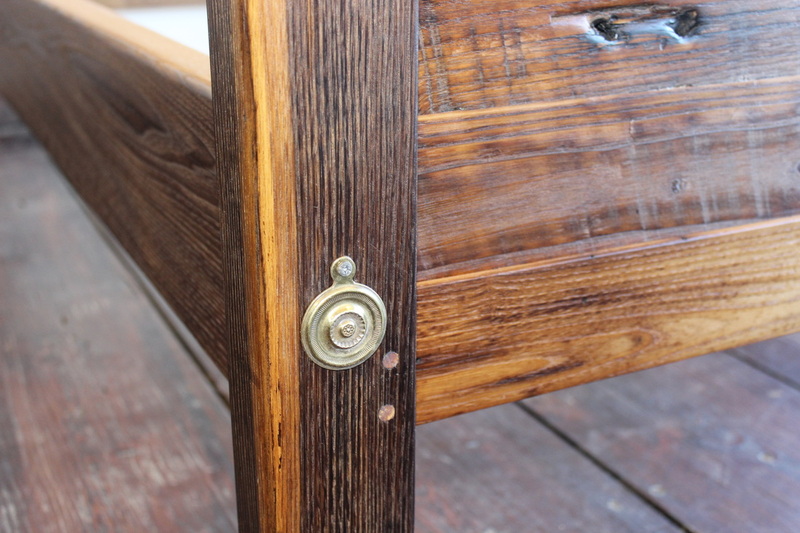 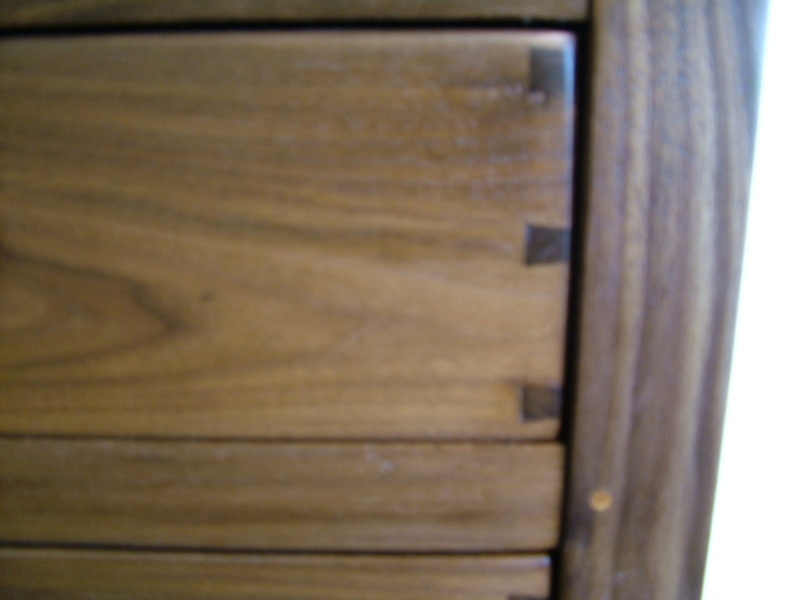 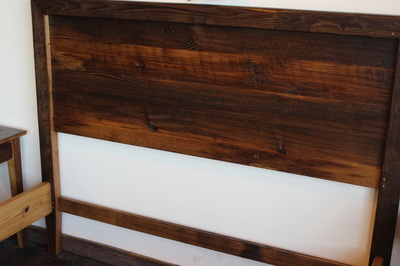 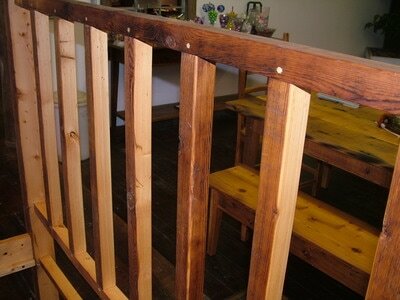 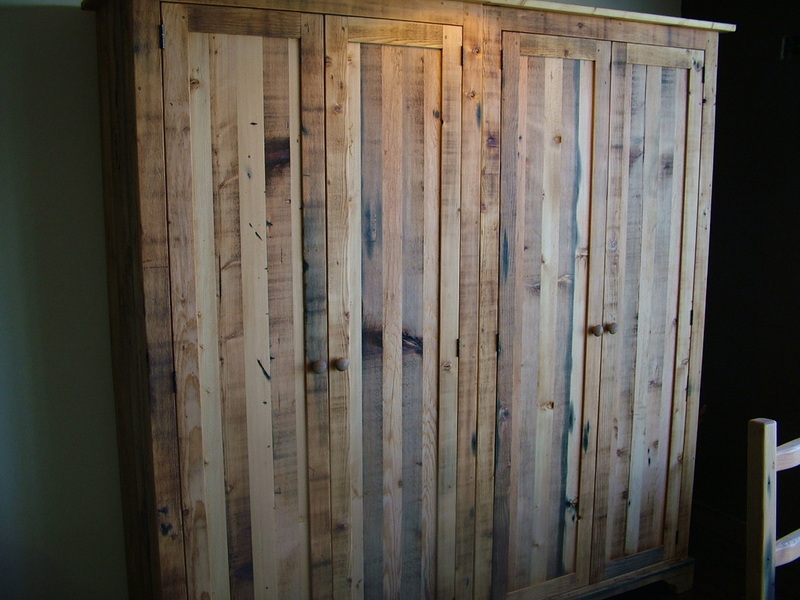 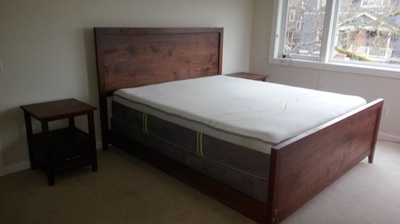 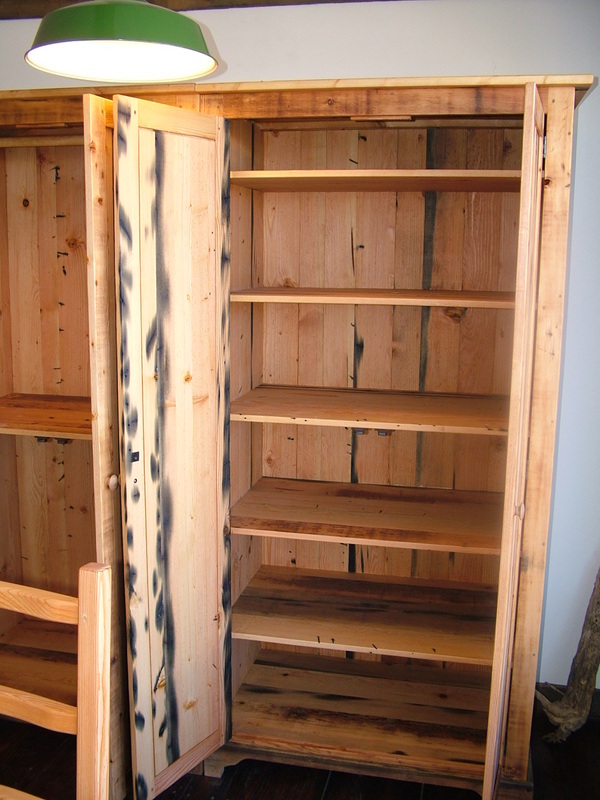 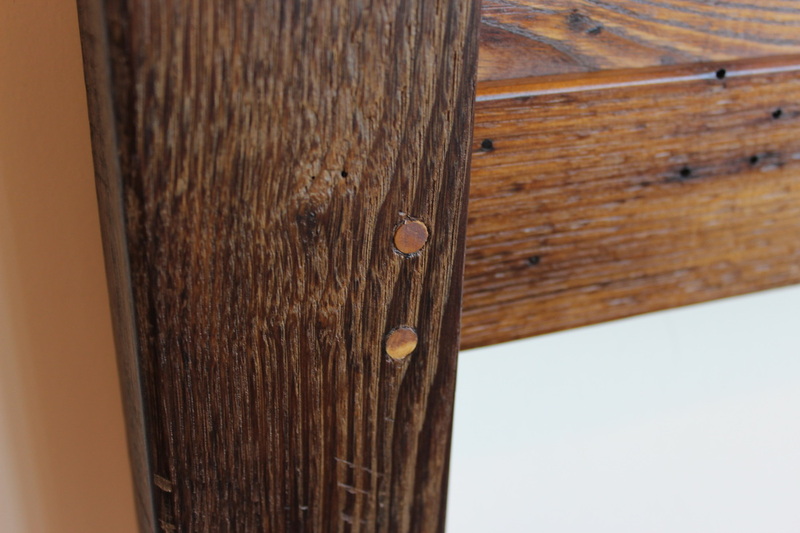 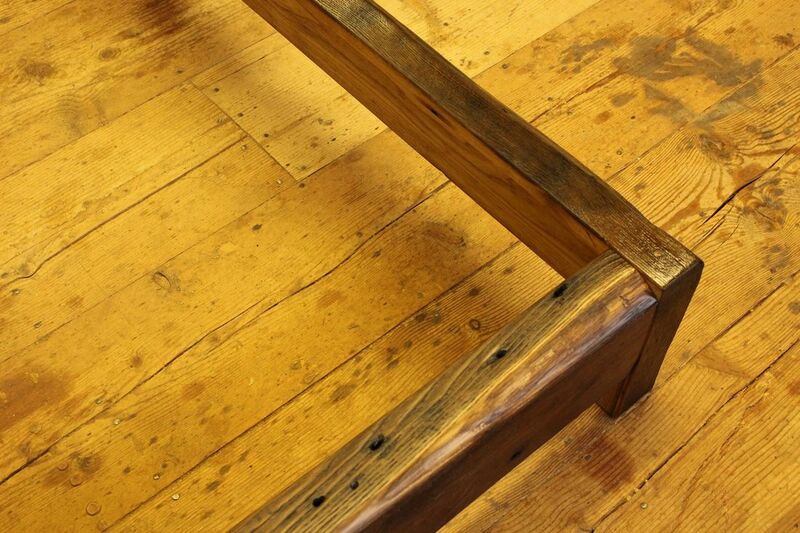 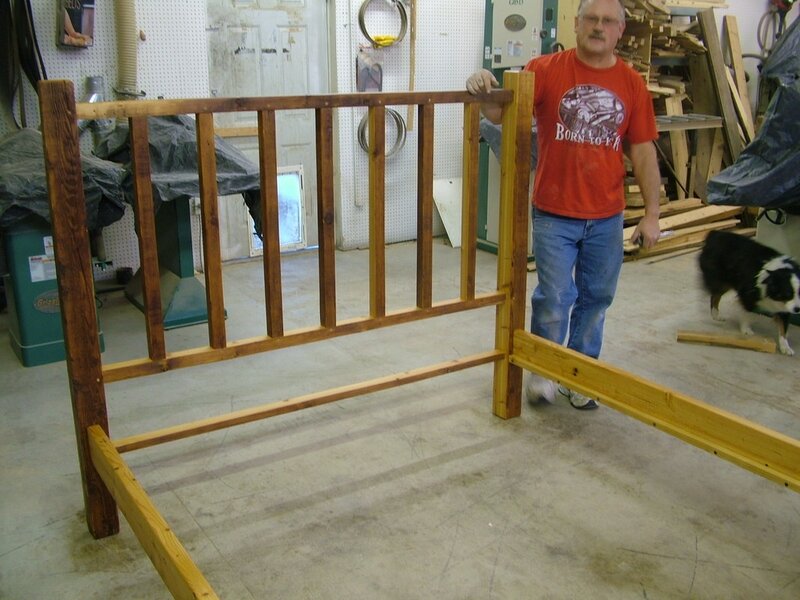 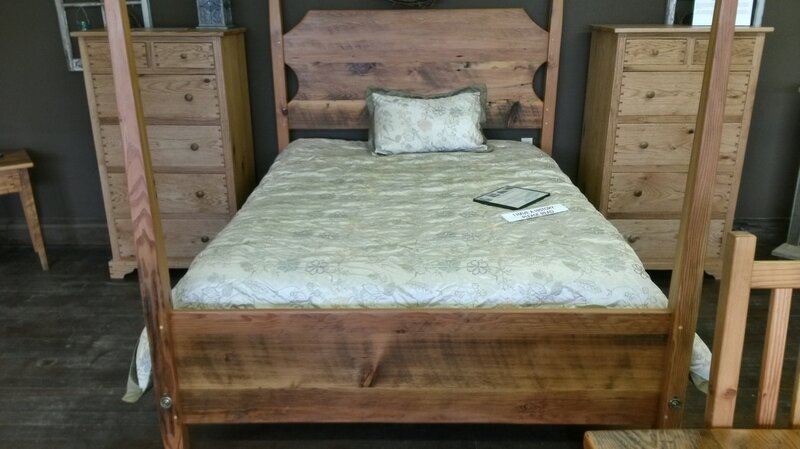 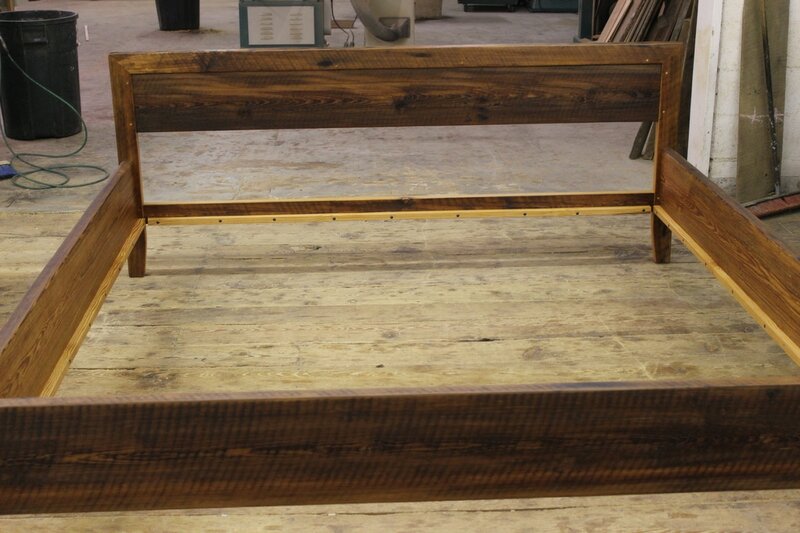 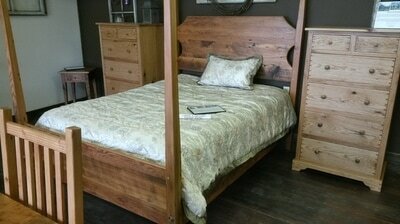 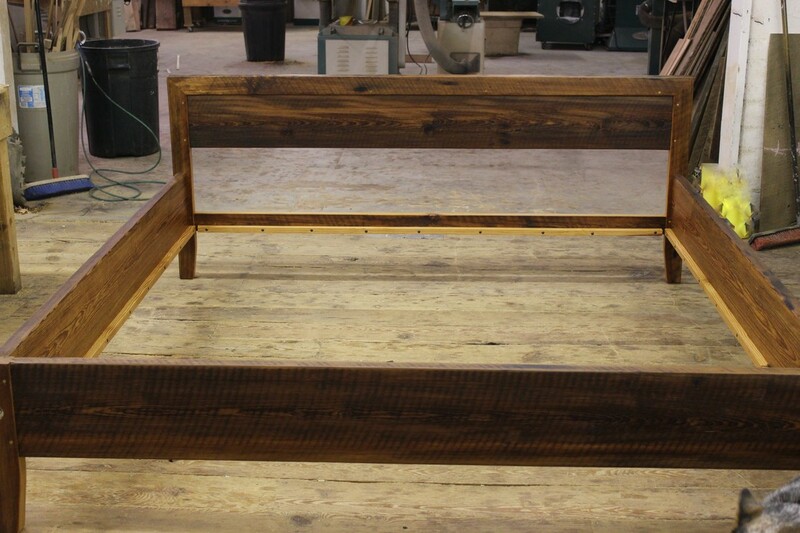 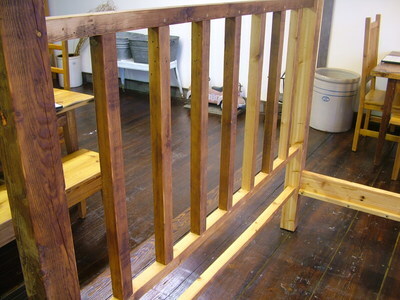 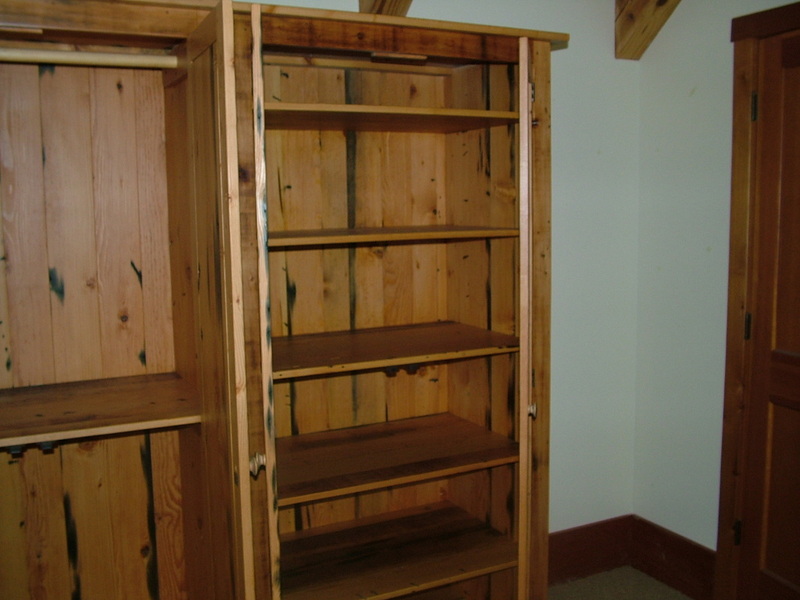 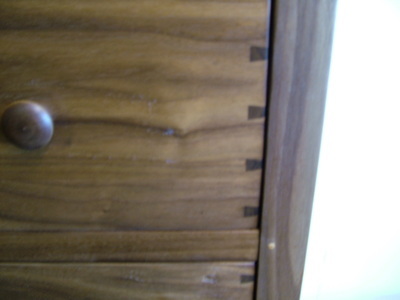 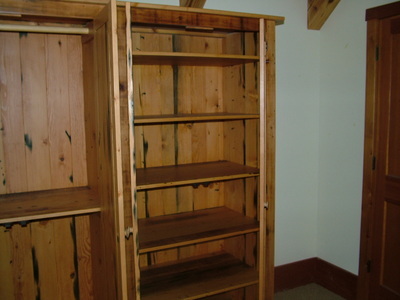 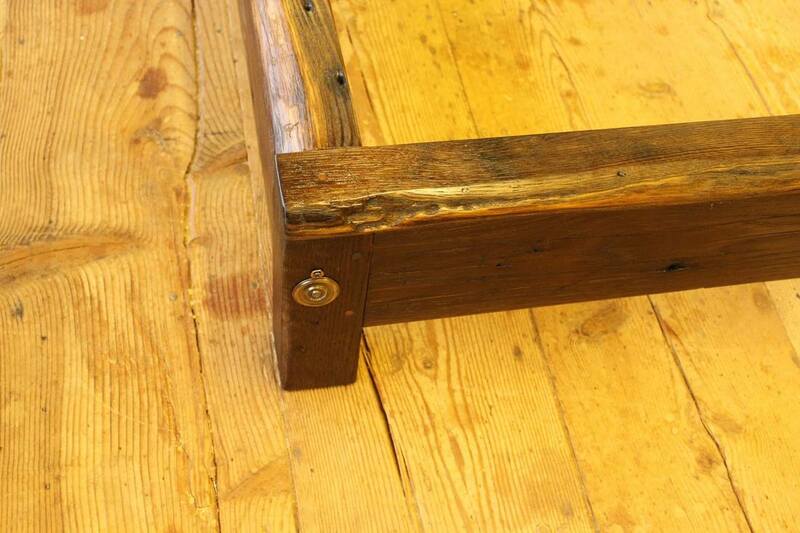 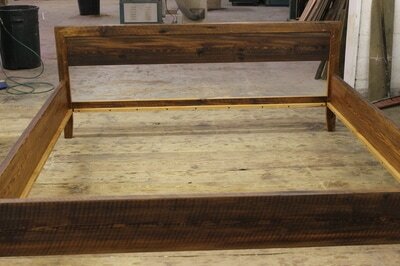 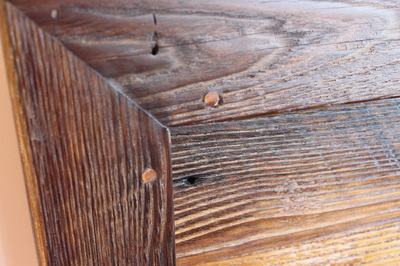 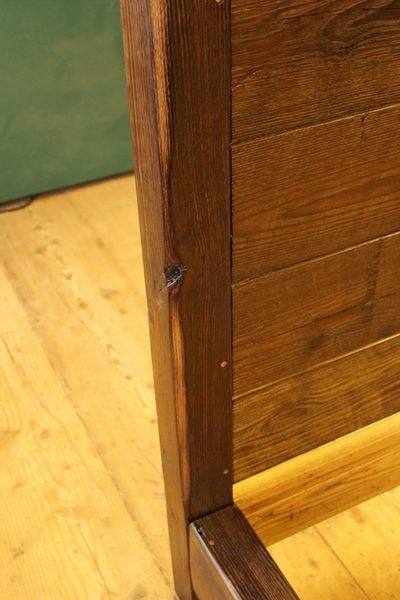 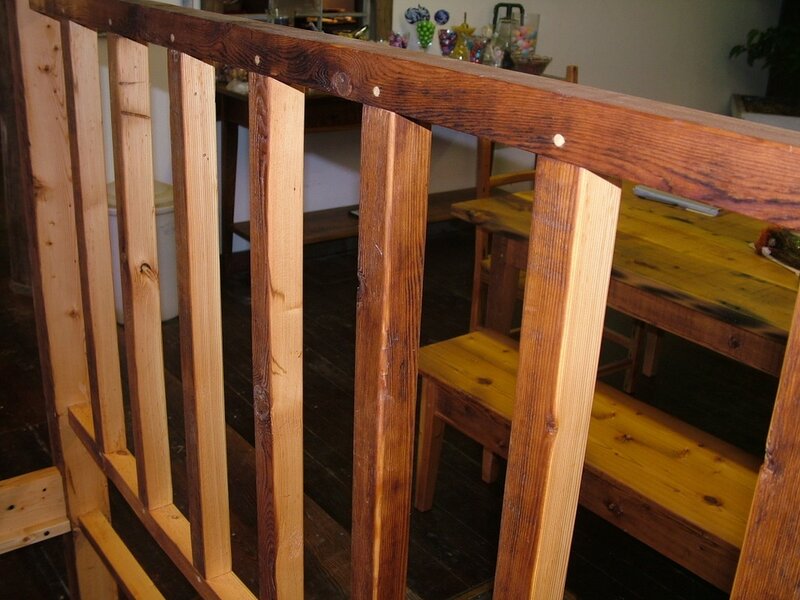 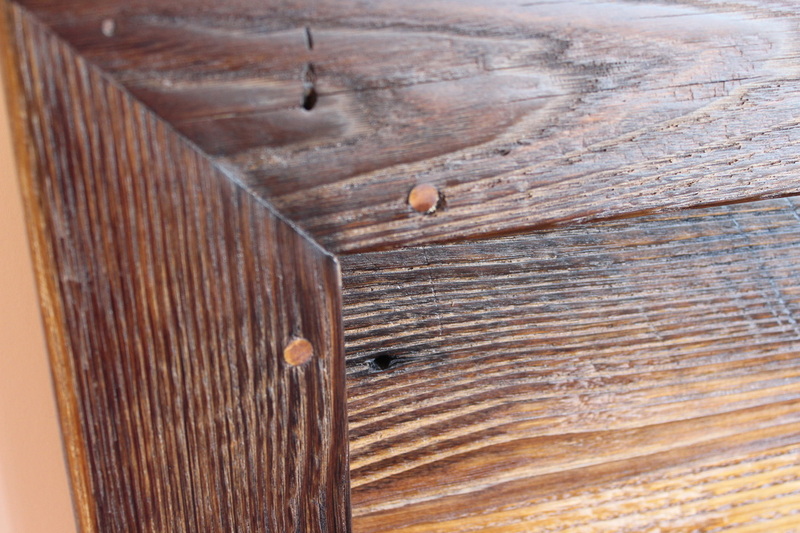 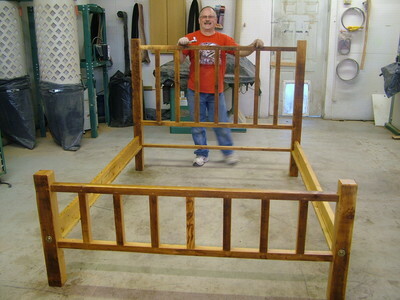 Our beds and dressers are constructed using no screws or nails. 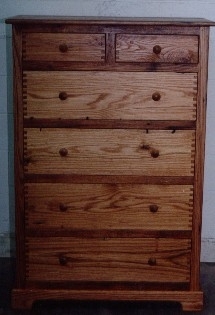 Many designs and sizes are available. Please feel free to give us a call on a design of your choice. 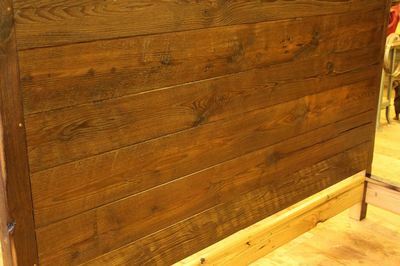 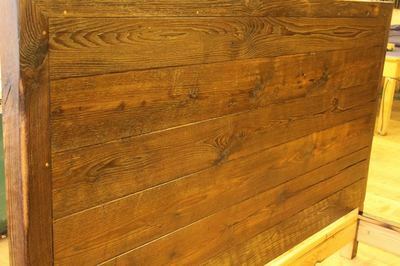 Many wood species are available. 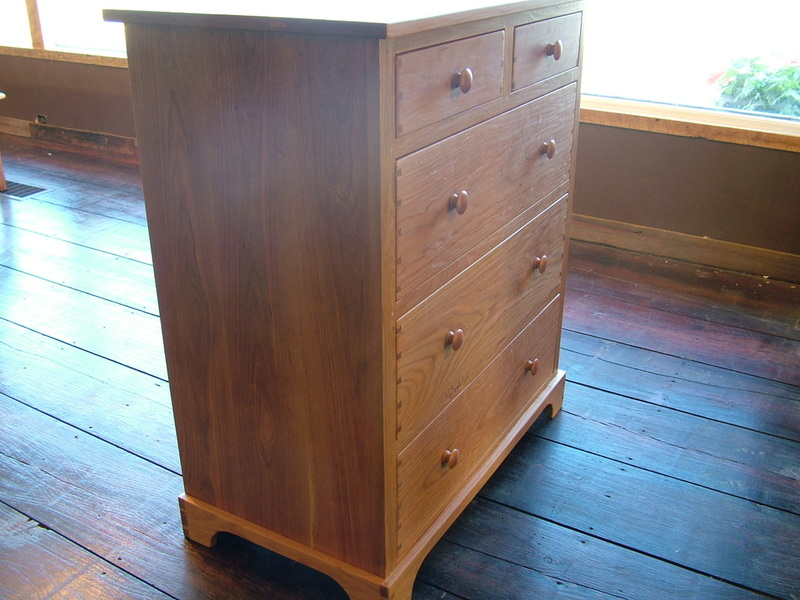 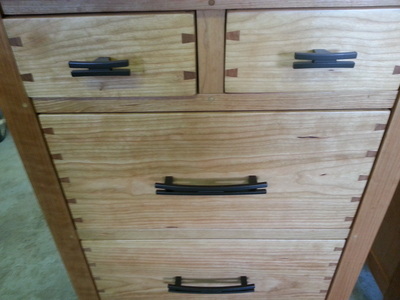 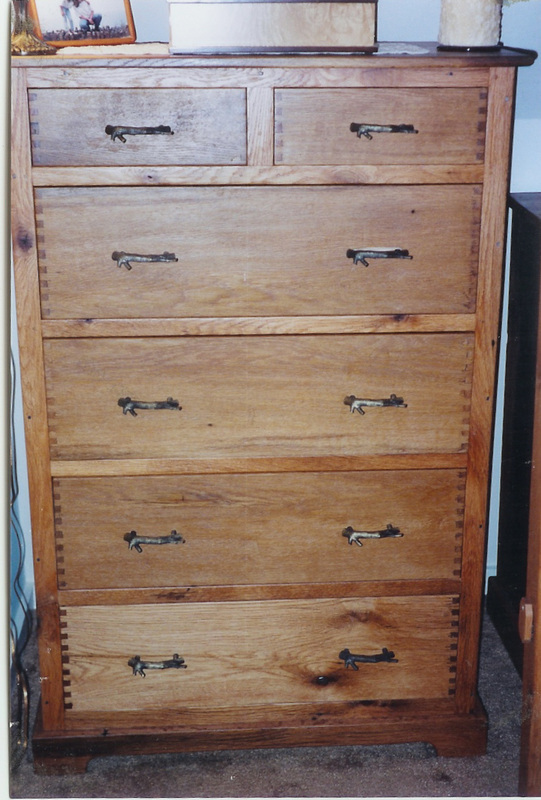 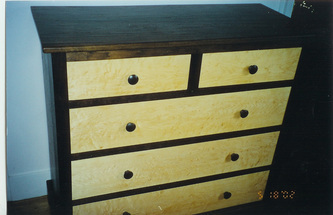 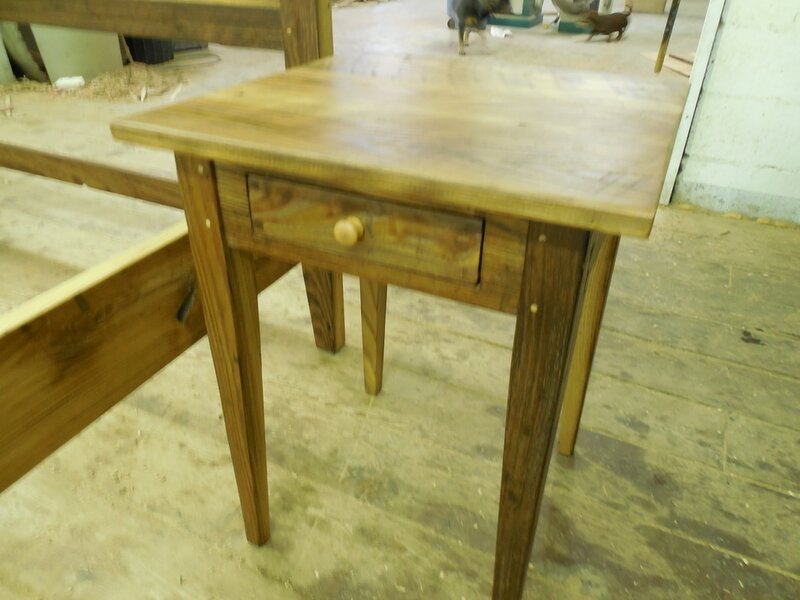 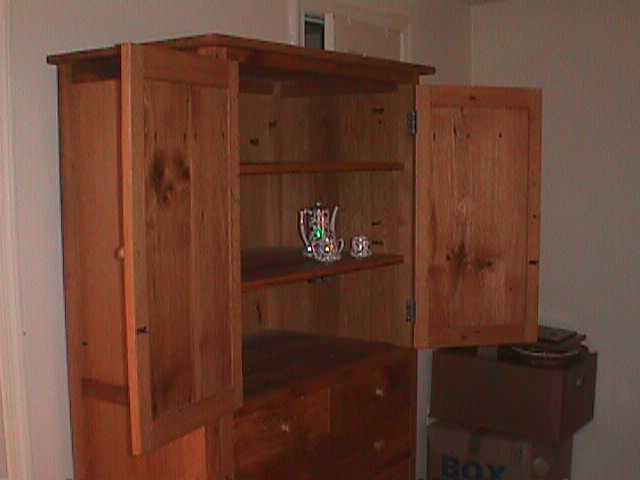 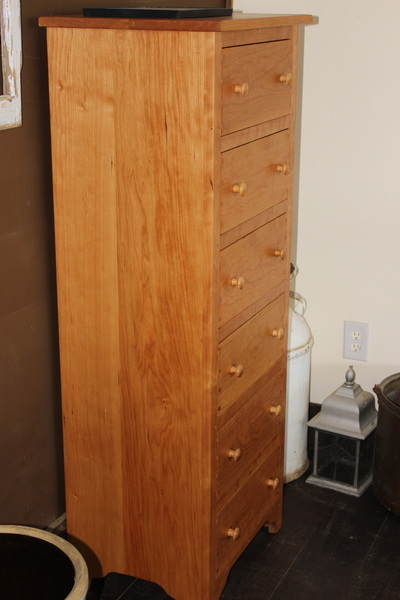 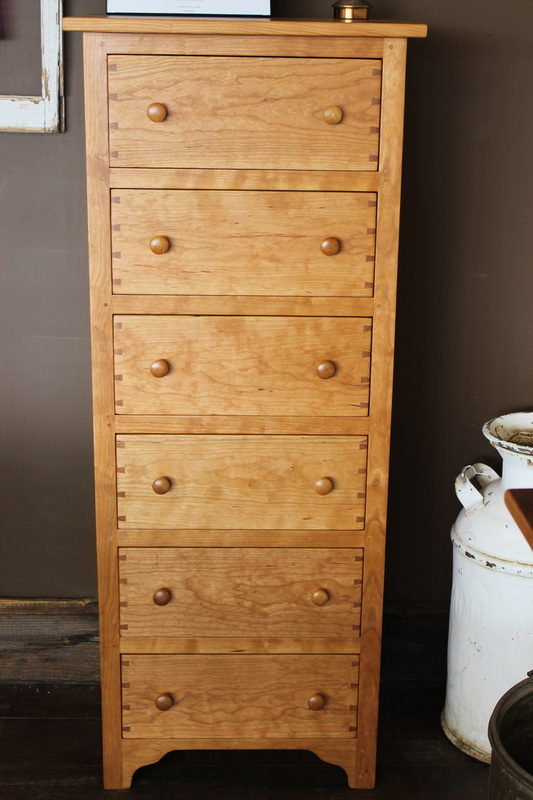 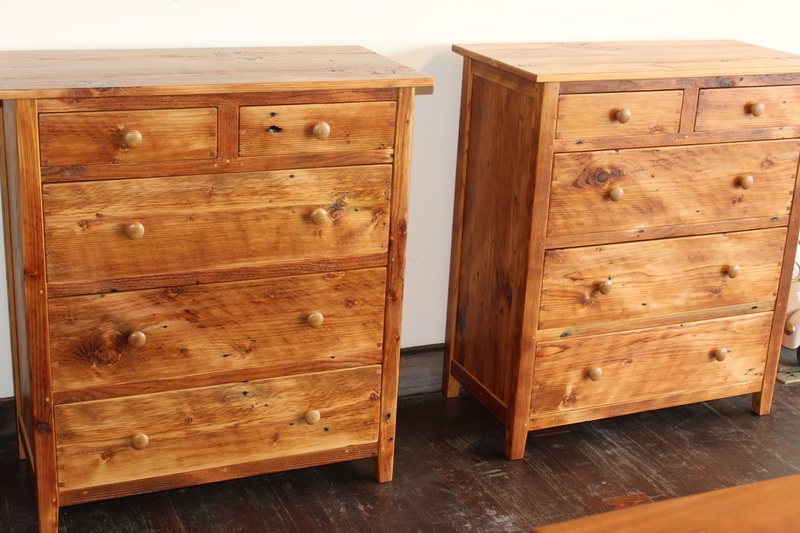 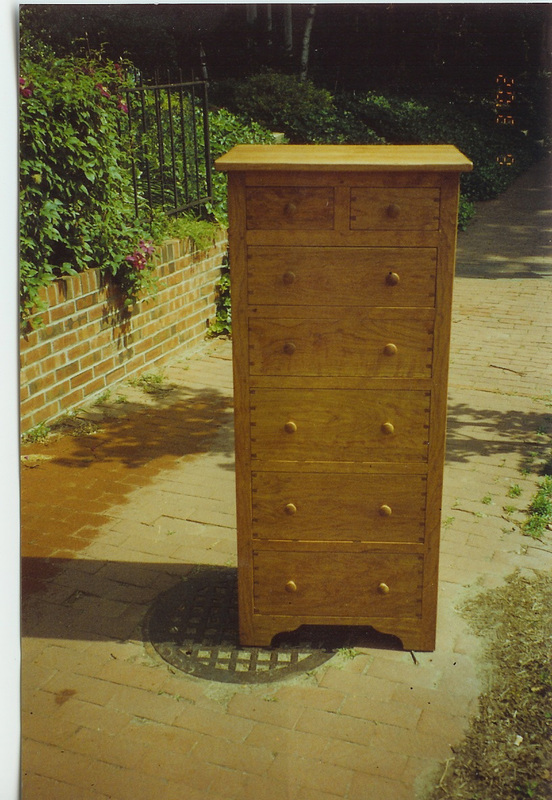 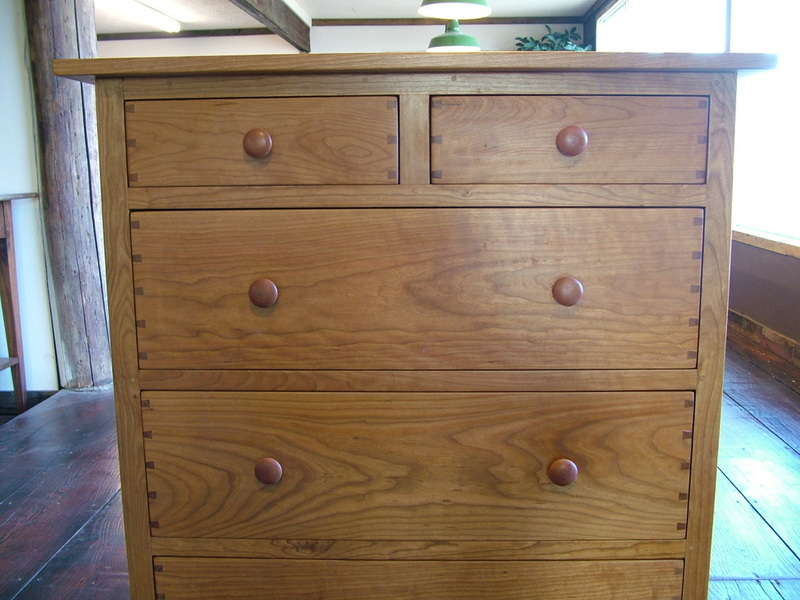 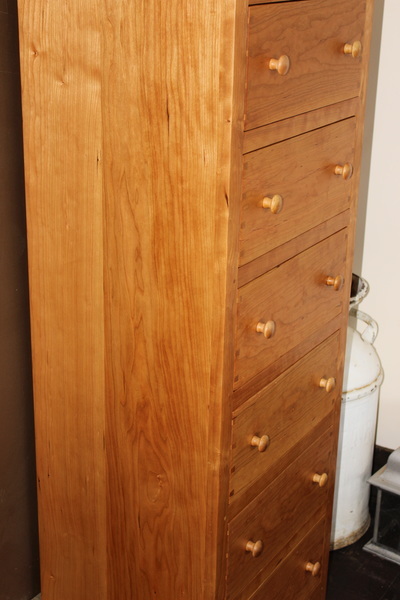 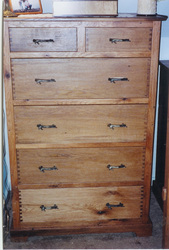 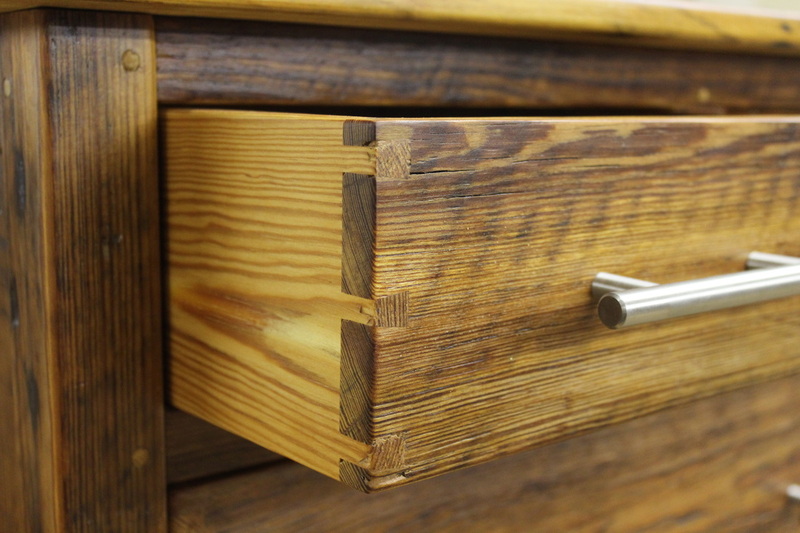 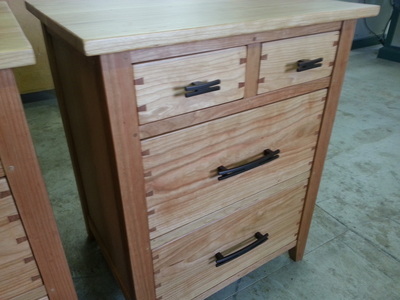 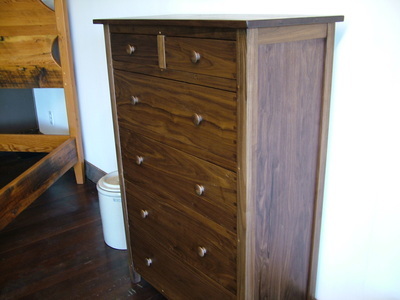 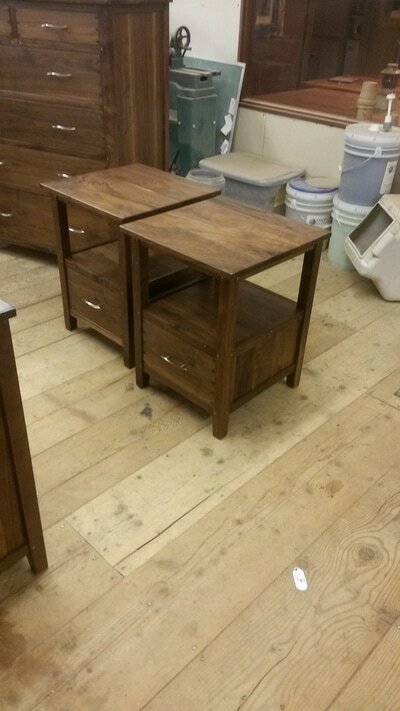 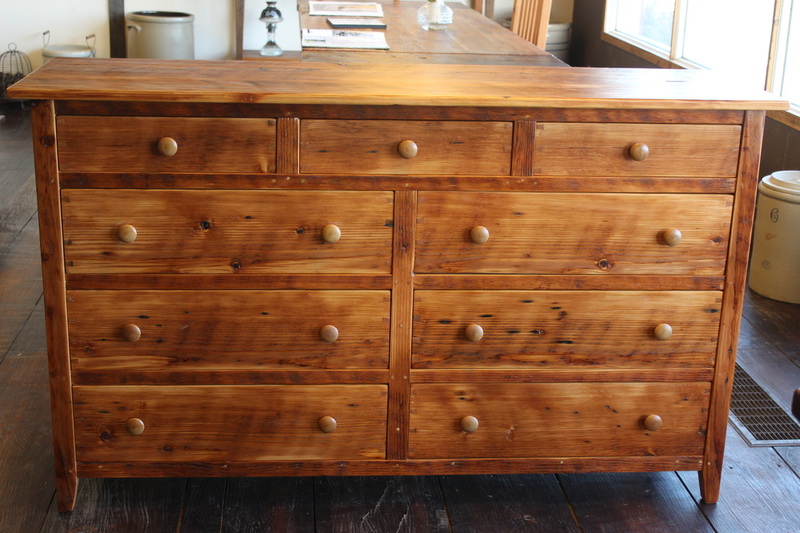 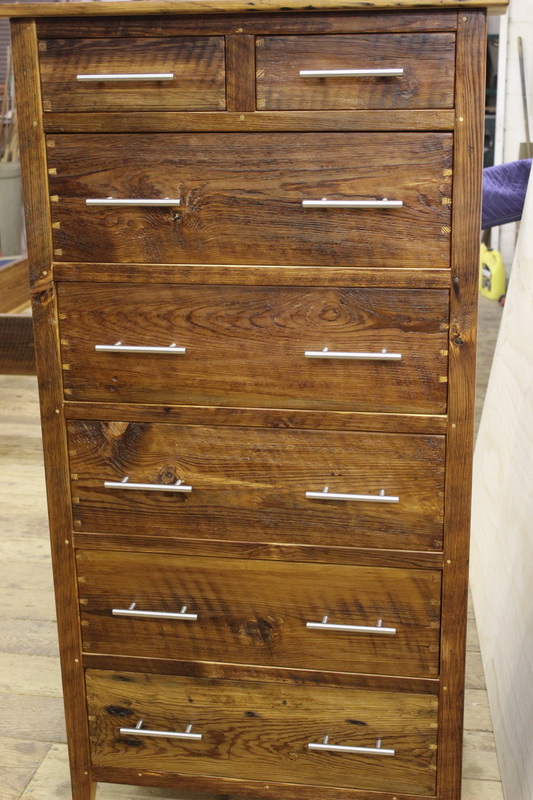 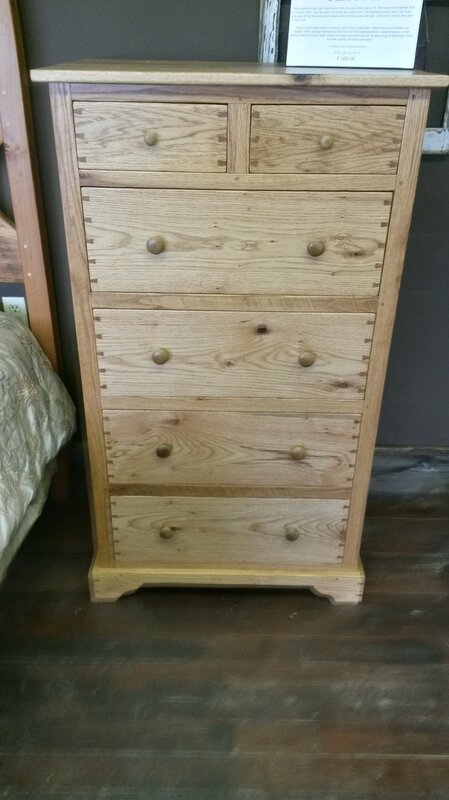 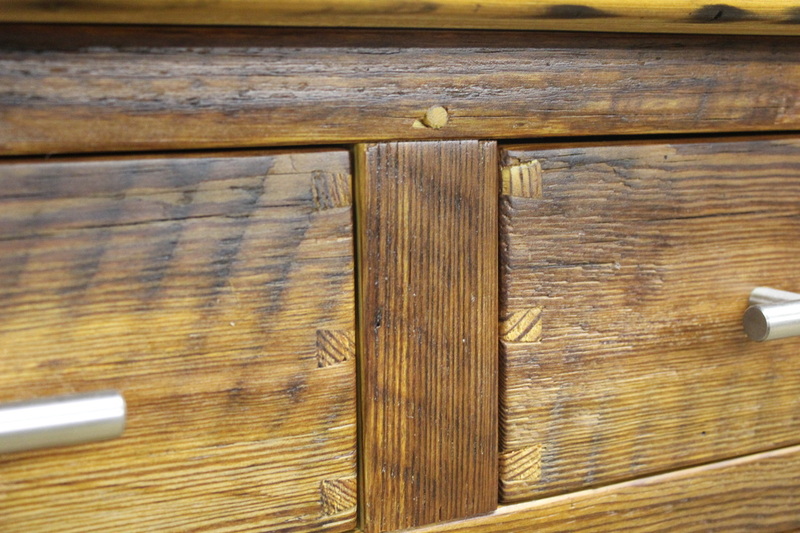 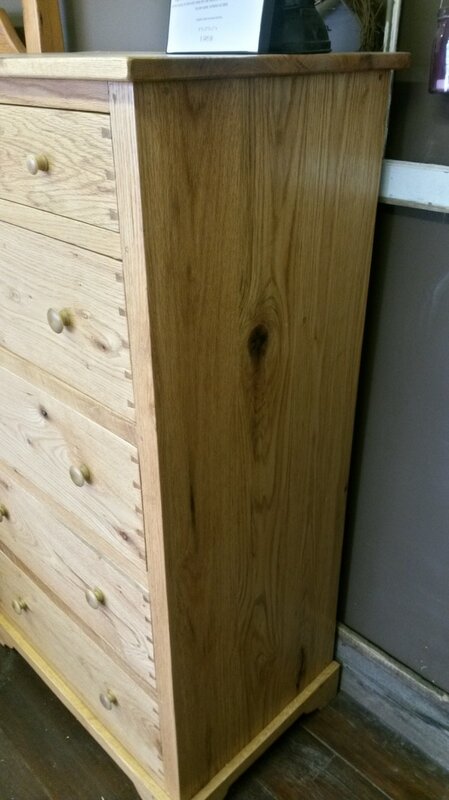 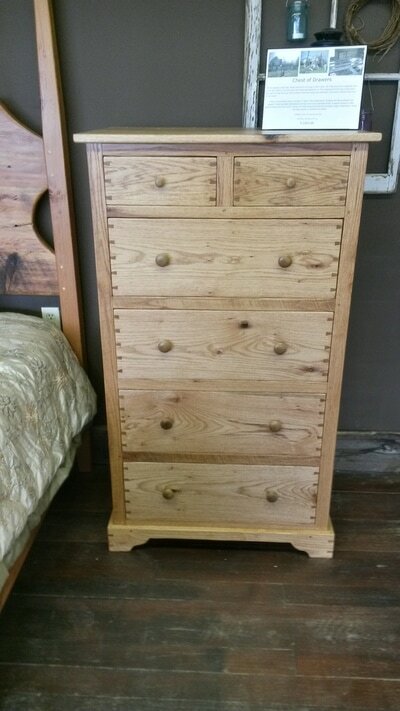 Our dressers are made using solid wood. 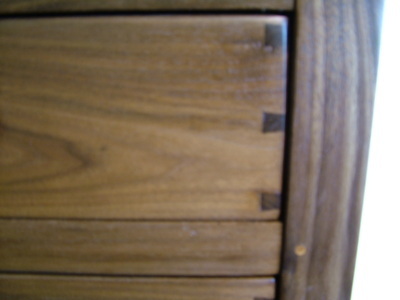 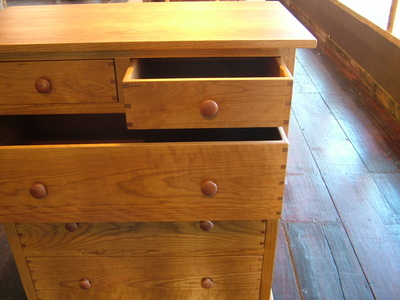 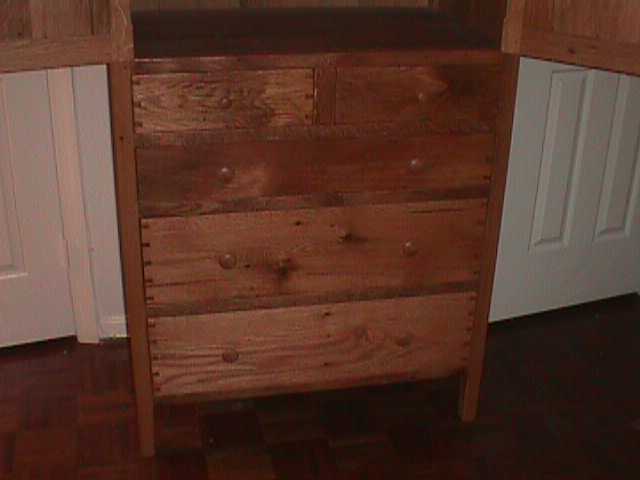 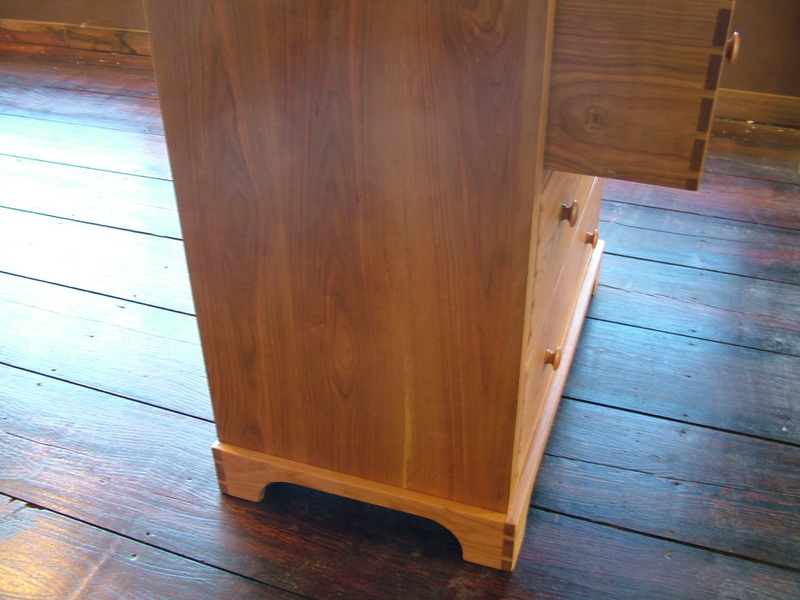 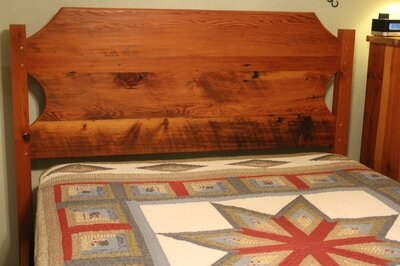 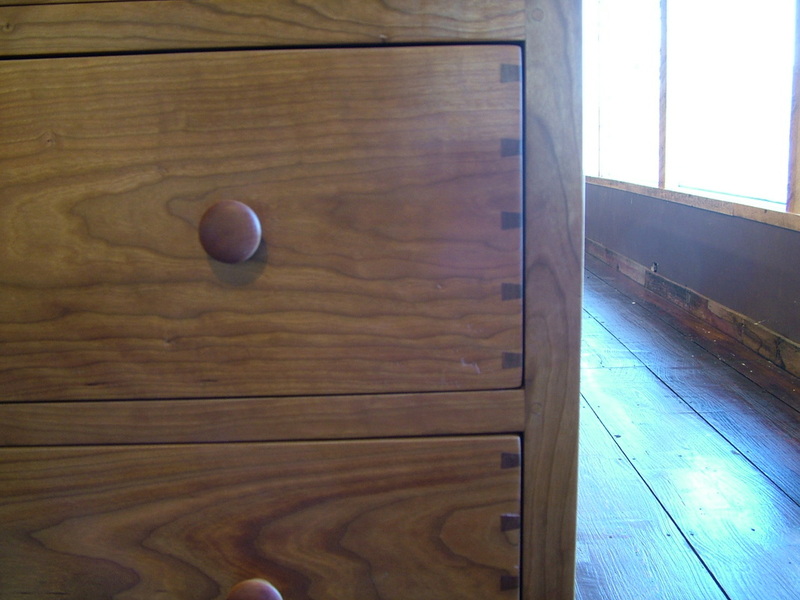 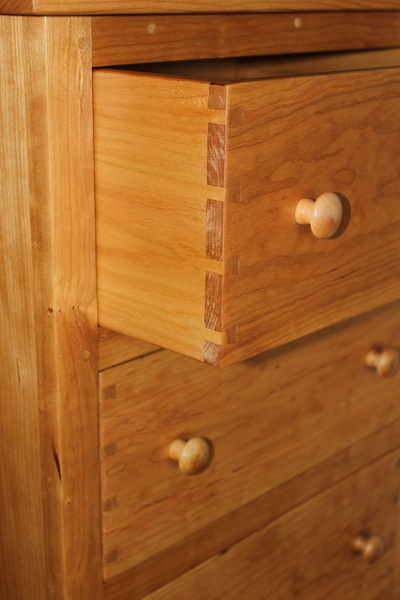 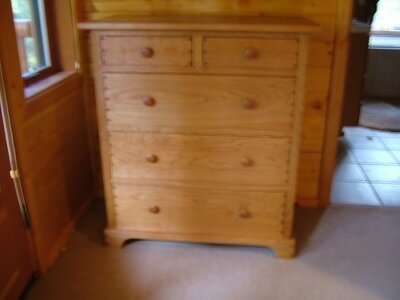 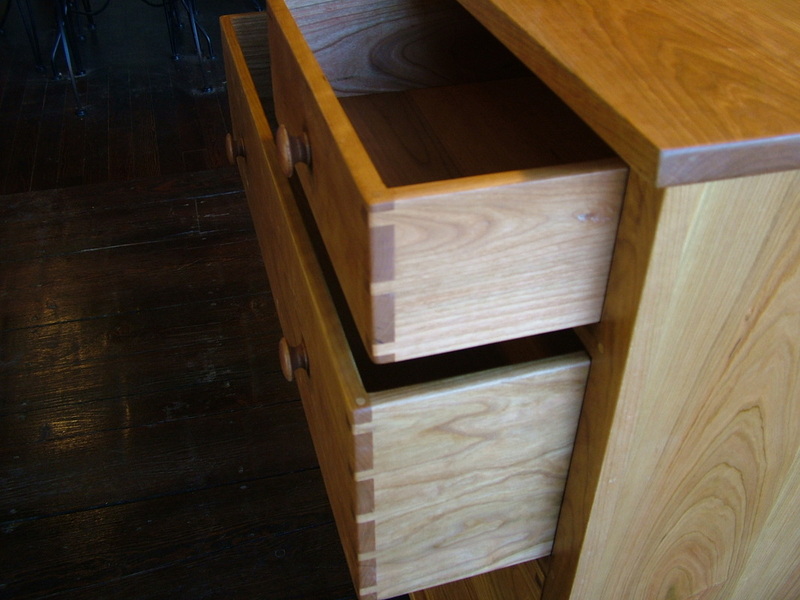 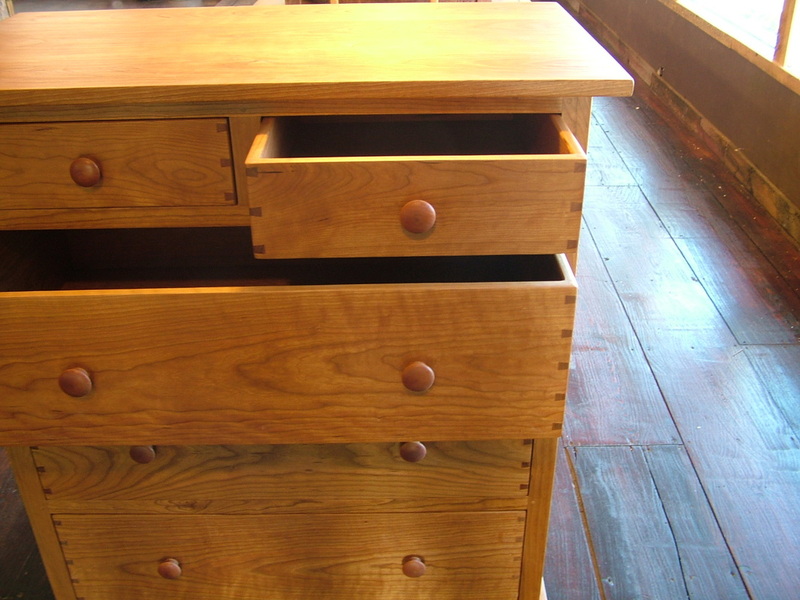 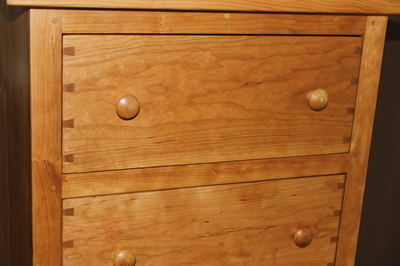 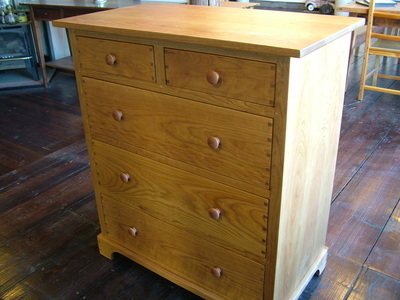 If your dresser is Cherry (for example) the entire dresser will be cherry, drawer bottoms and backing are all cherry. 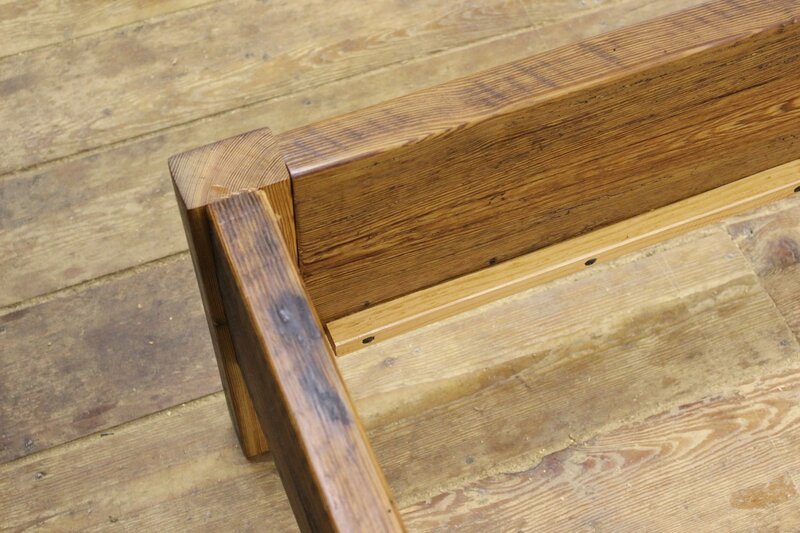 We do not substitute cheaper woods. 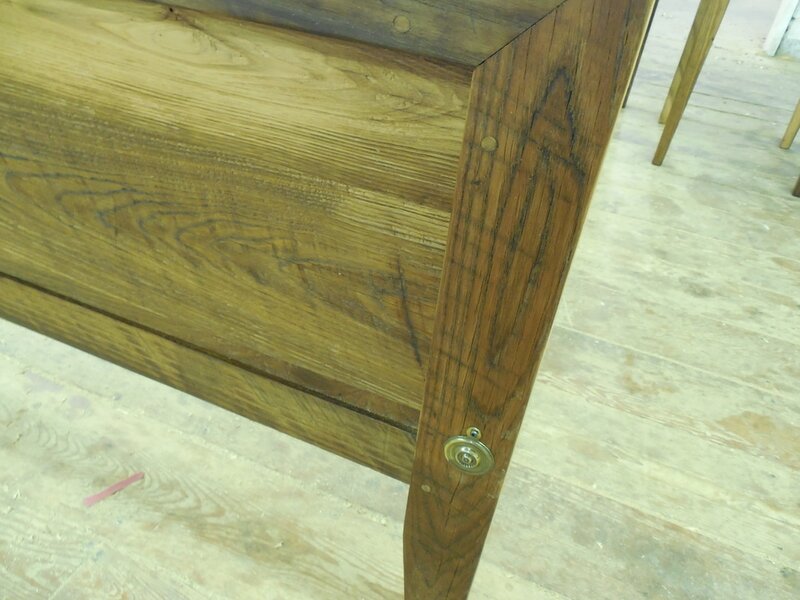 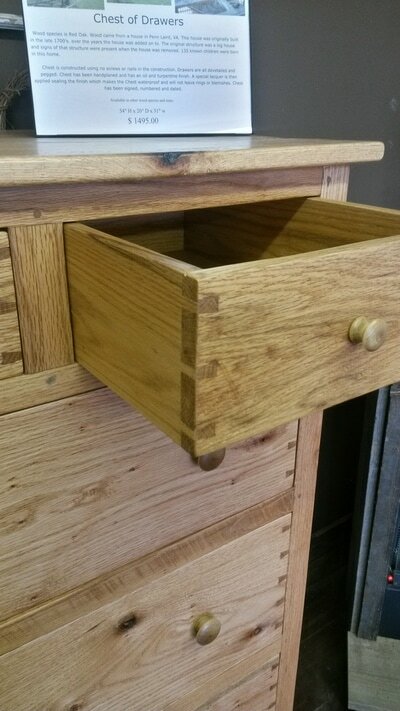 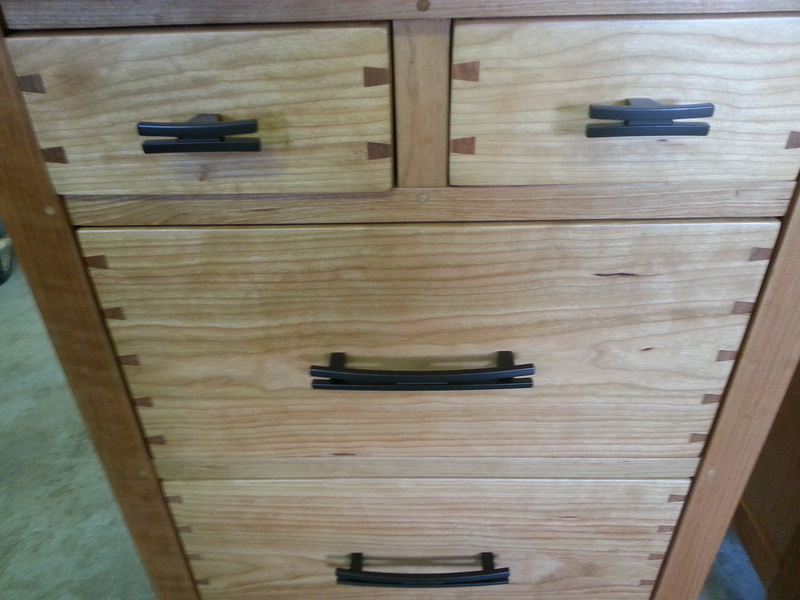 All drawers and dovetailed and pegged. 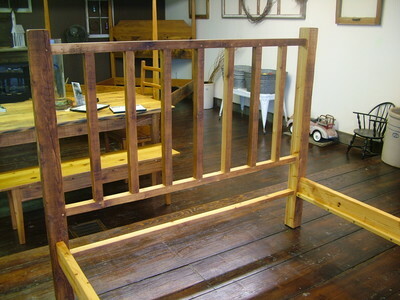 All framework is pegged. 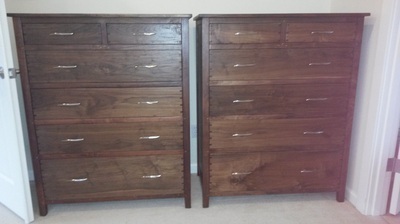 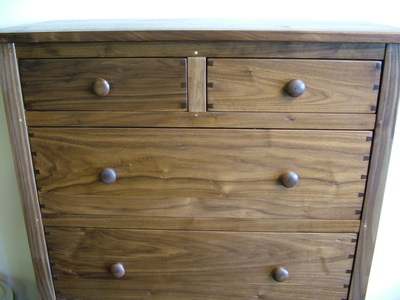 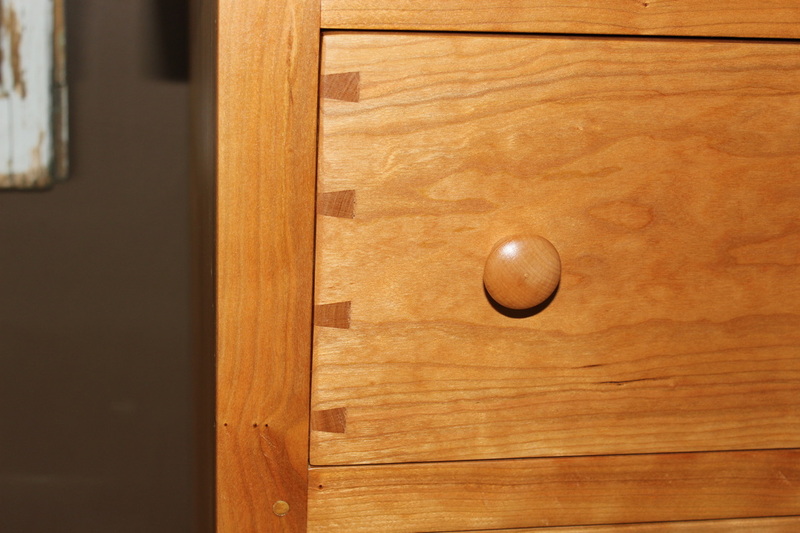 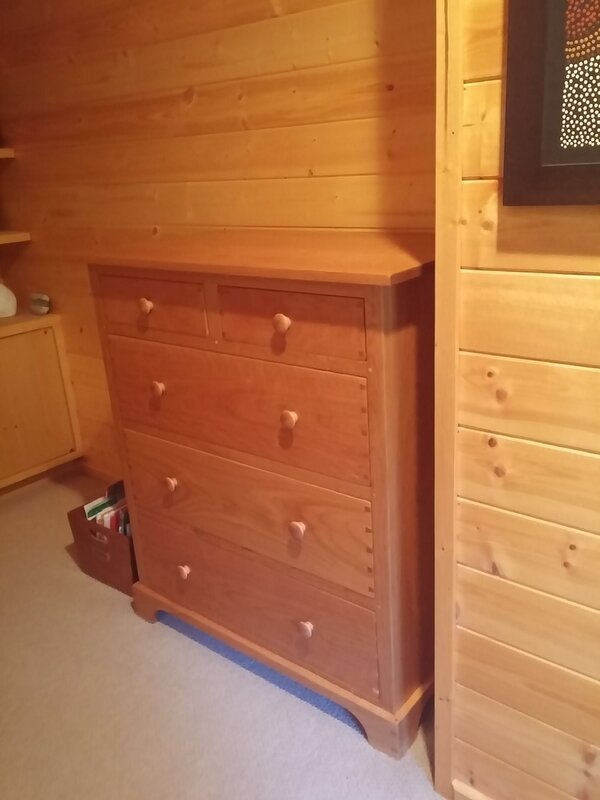 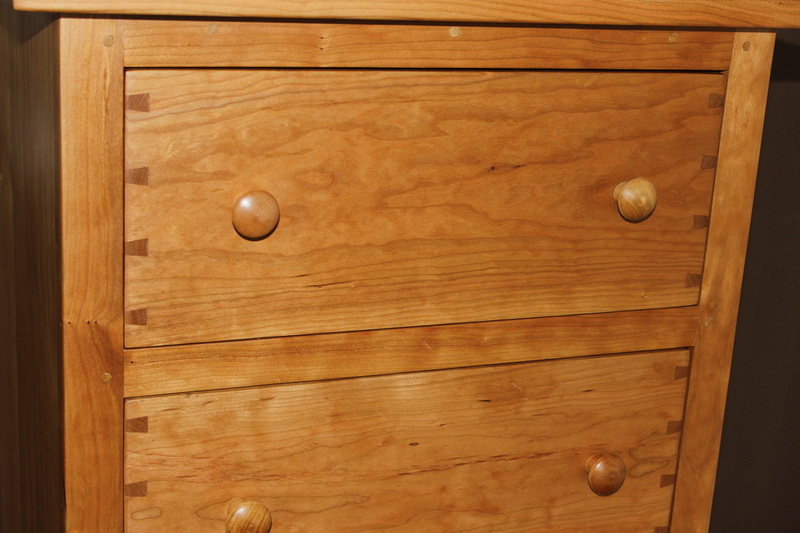 Our dressers contain no screws or nails. 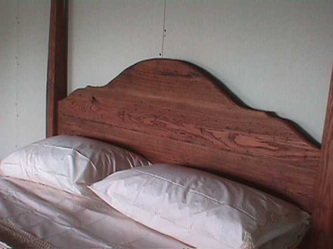 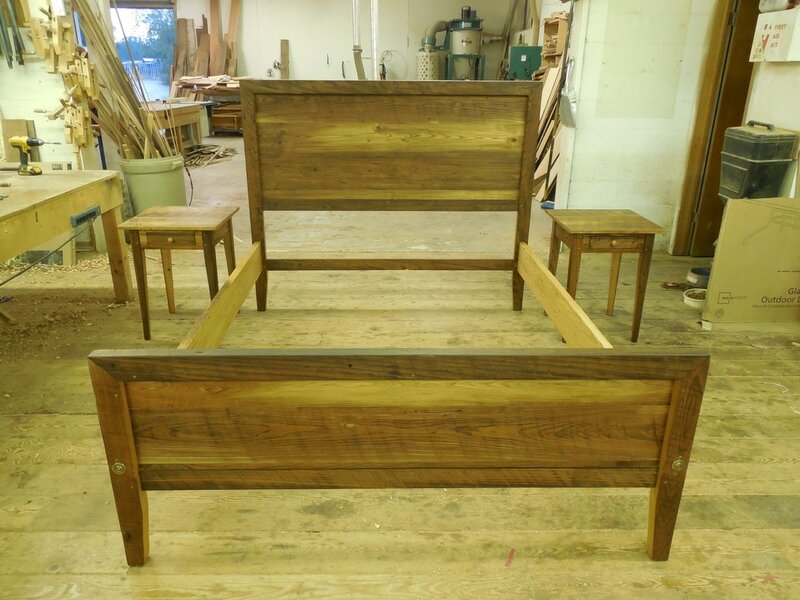 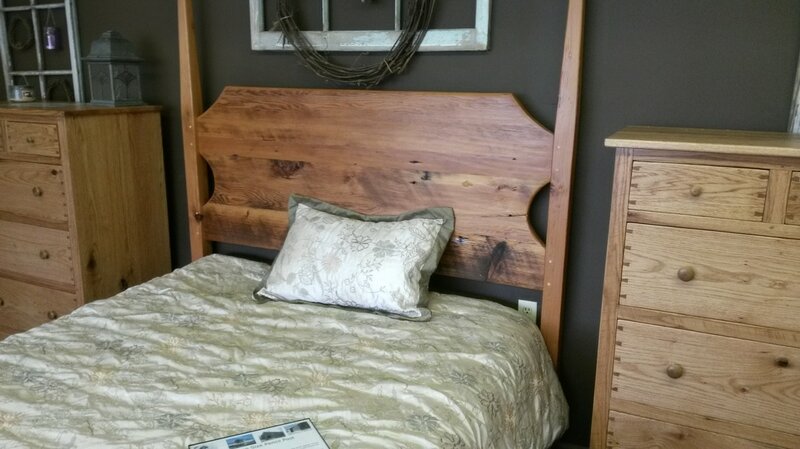 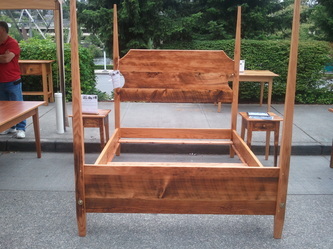 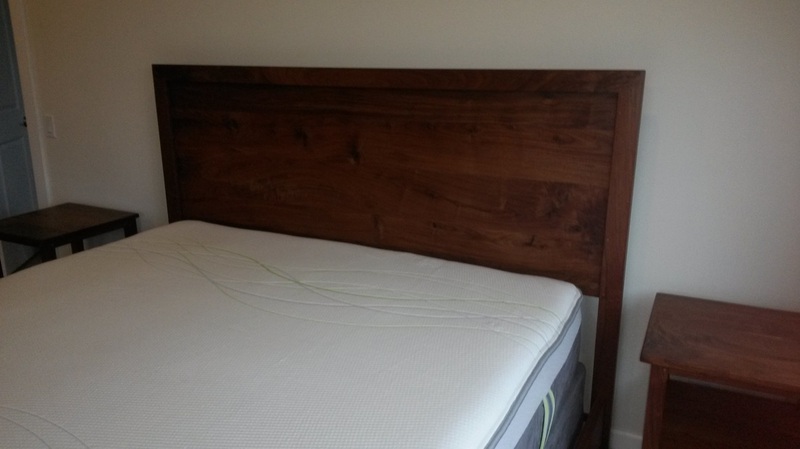 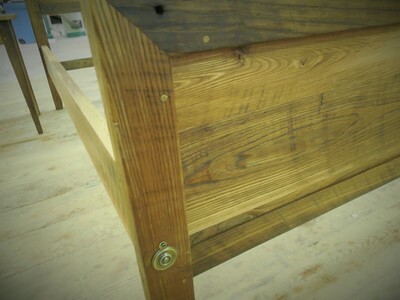 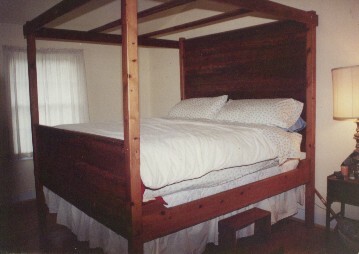 Queen size pencil post bed out of old pine. 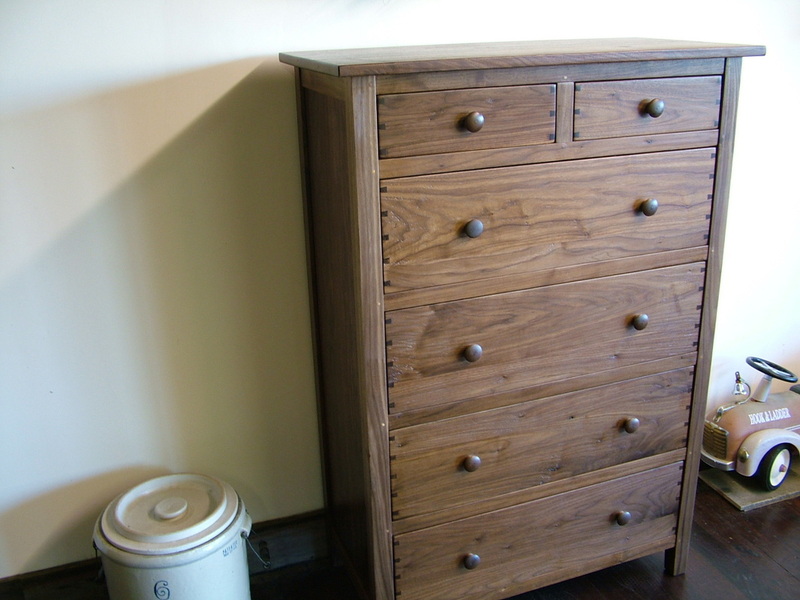 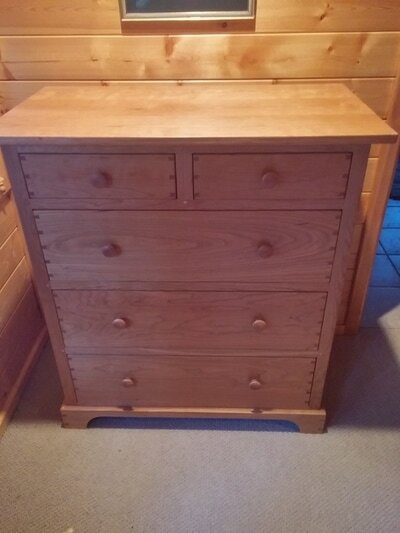 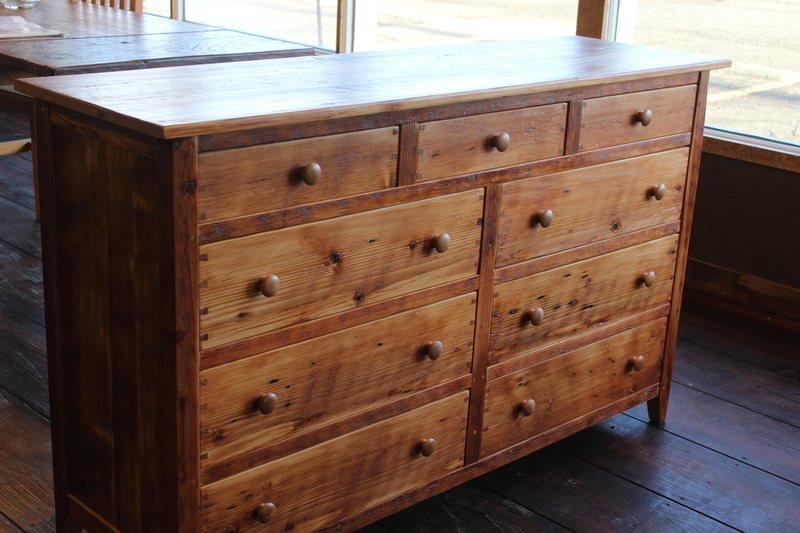 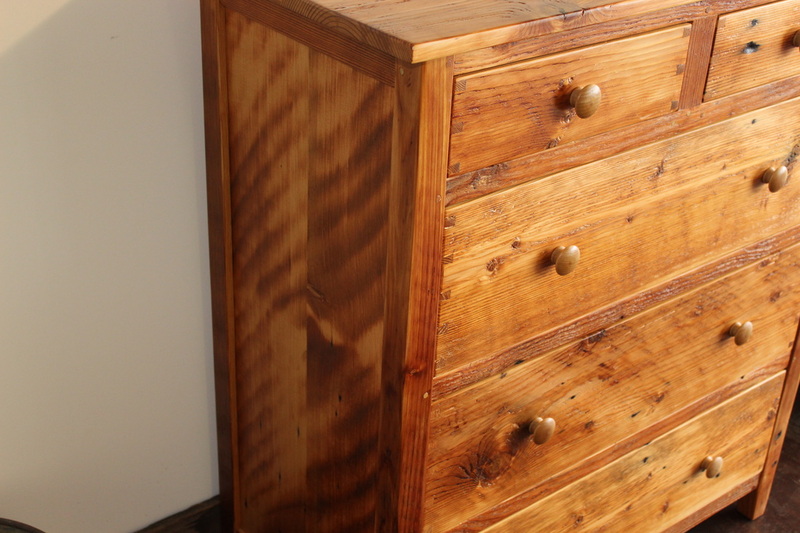 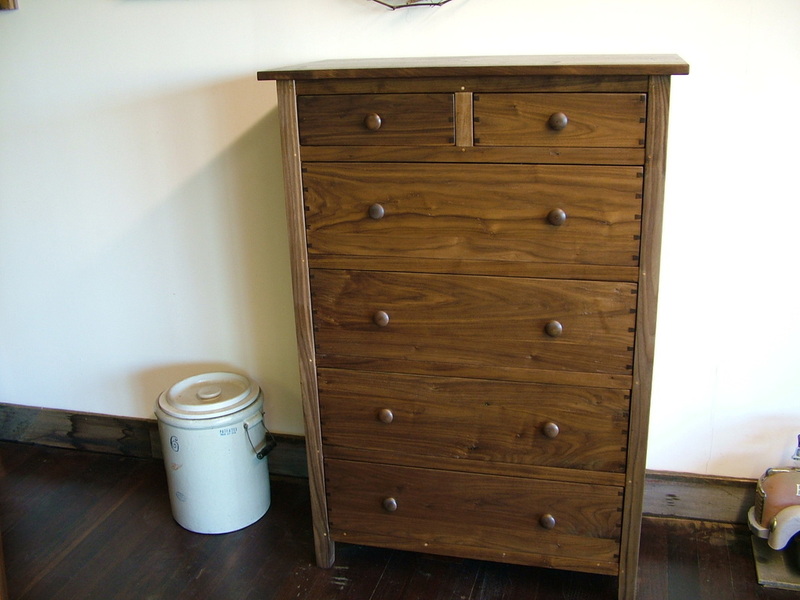 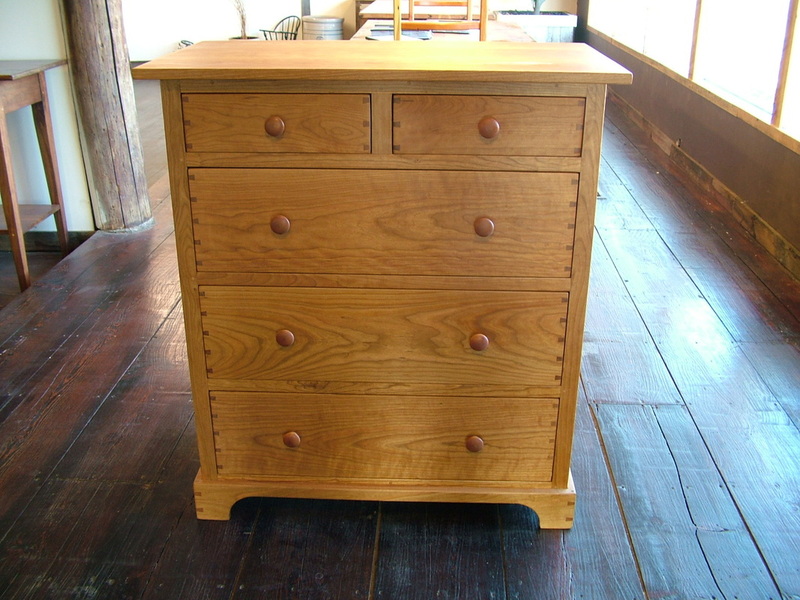 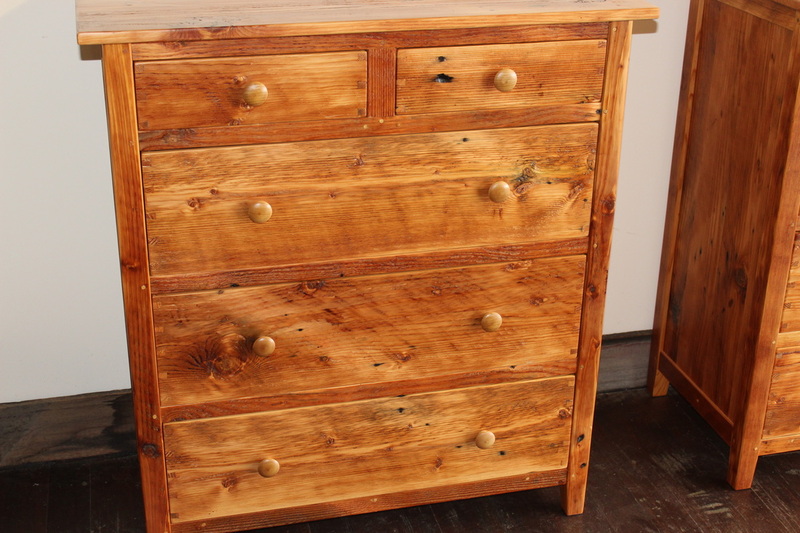 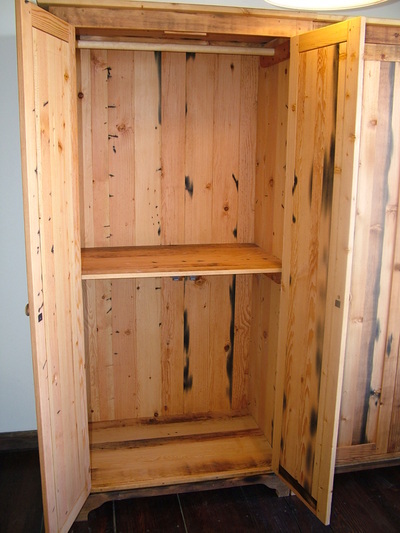 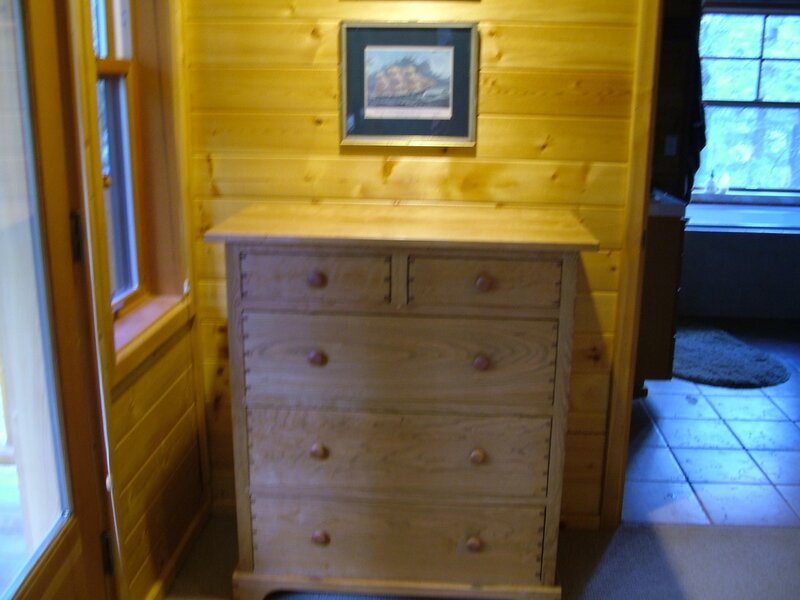 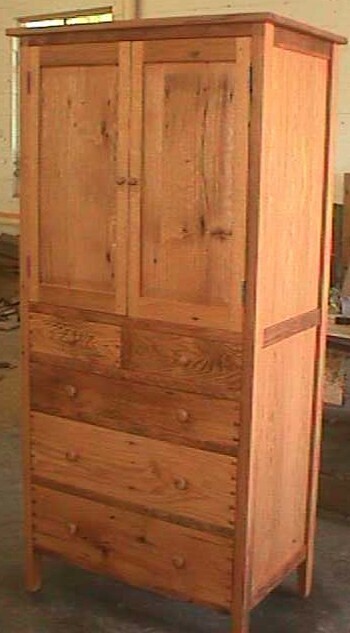 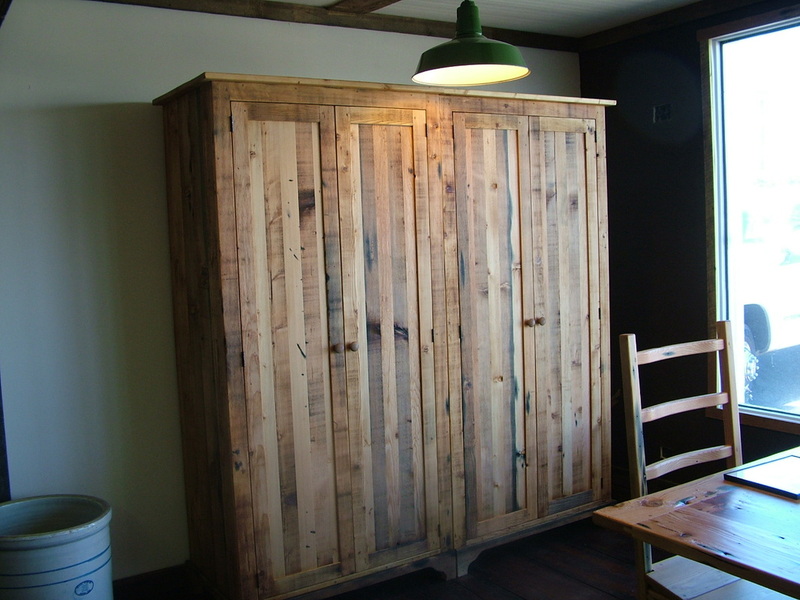 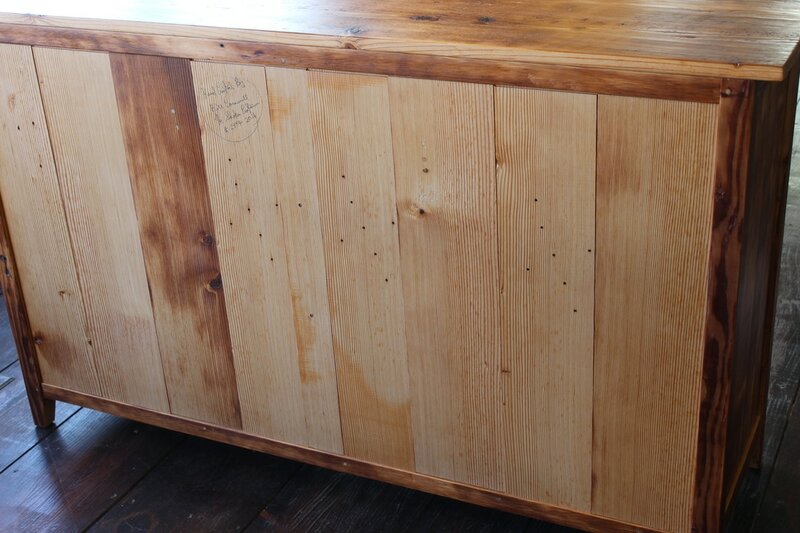 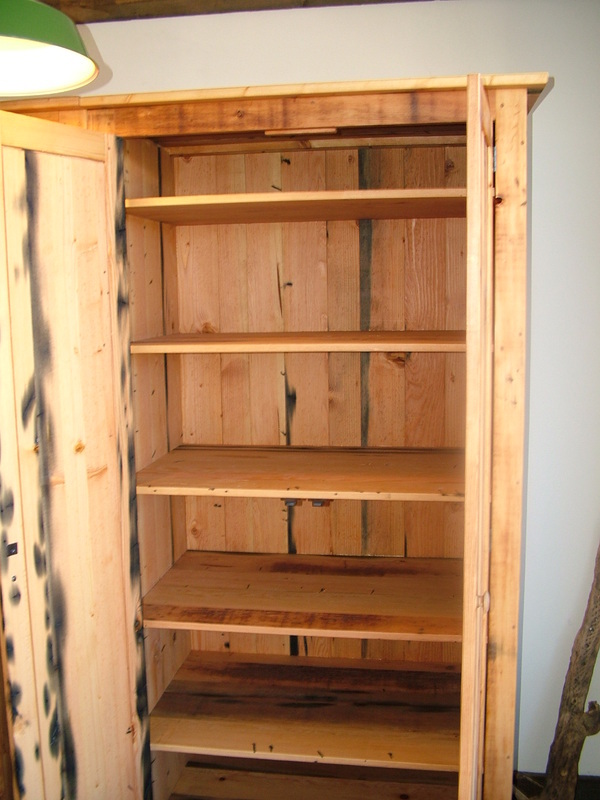 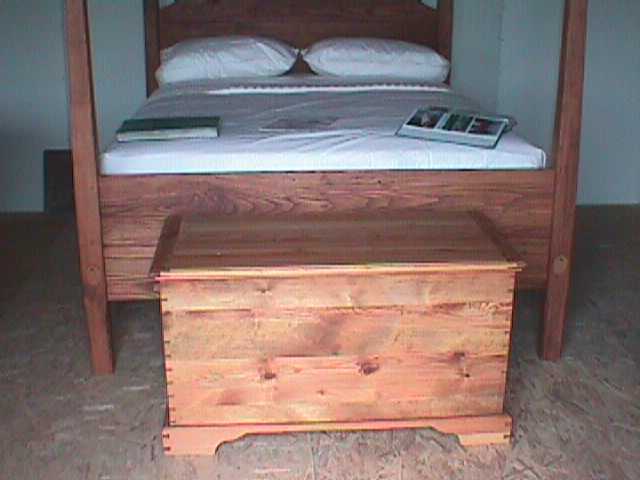 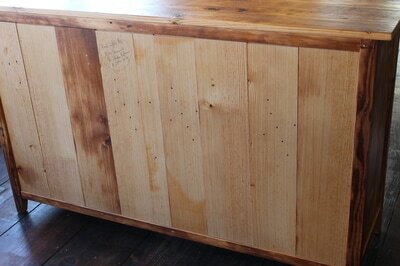 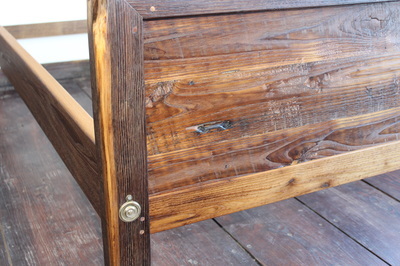 Blanket chest is also old pine.